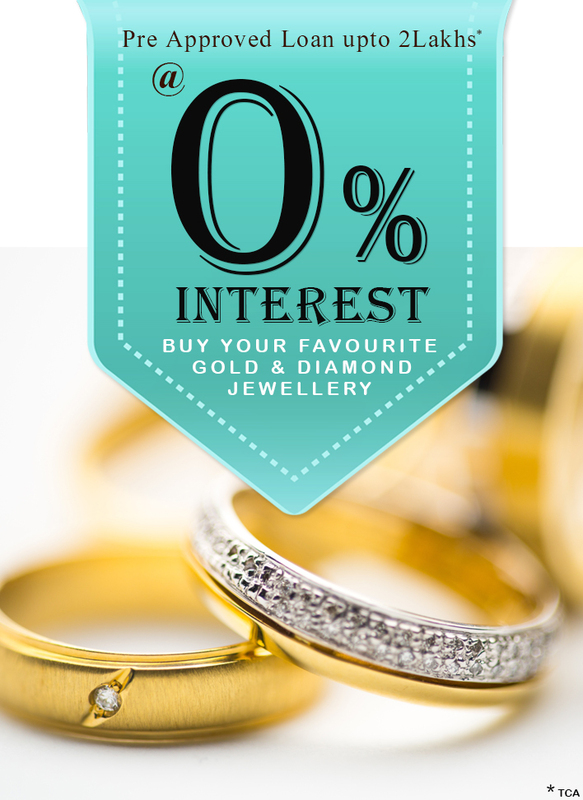 Engagement rings are marketed heavily towards women but that doesn’t mean men aren’t interested in them. 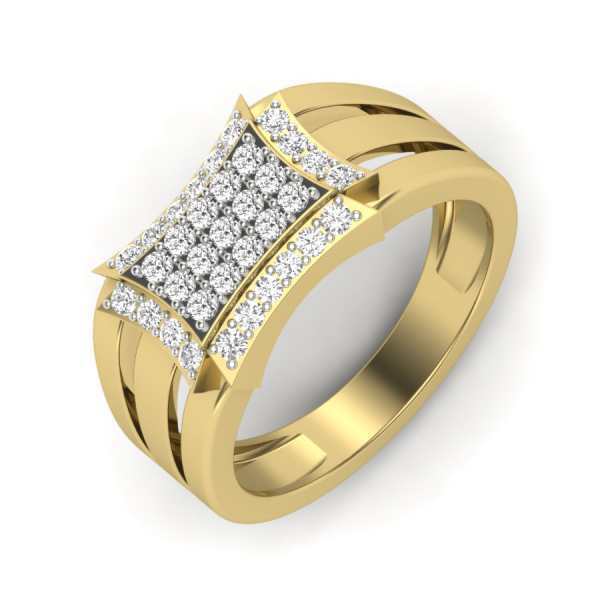 In our many years of jewelry making and selling, if there’s one trend that we have seen evolve from a one-time worn jewelry piece to an everyday essential serving as a reminder of a lifelong commitment - it’s the man's engagement ring! 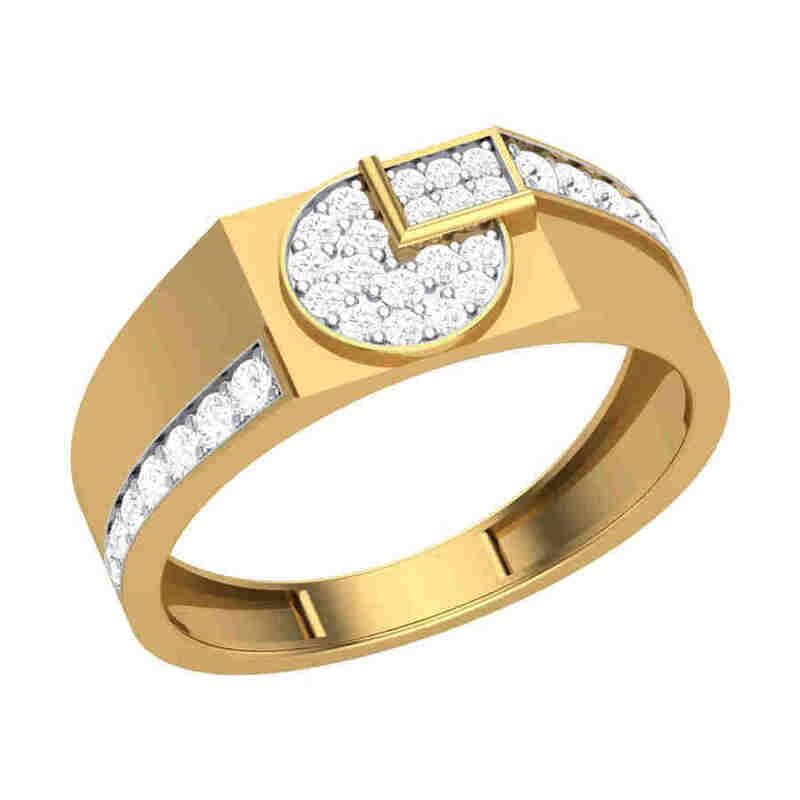 No longer are the engagement rings for men reserved to be worn for the ritual and forgotten later. 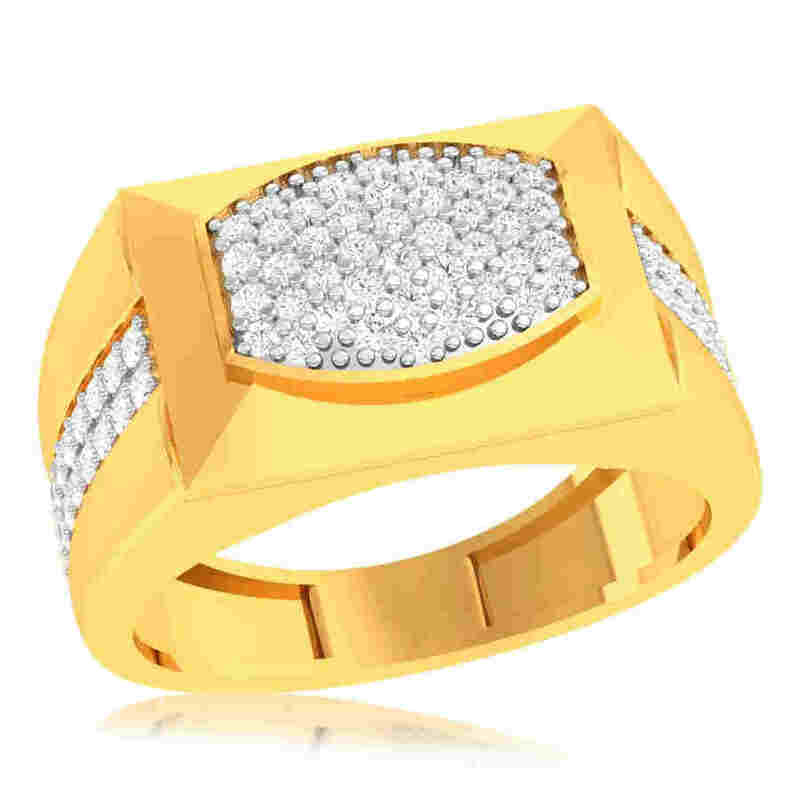 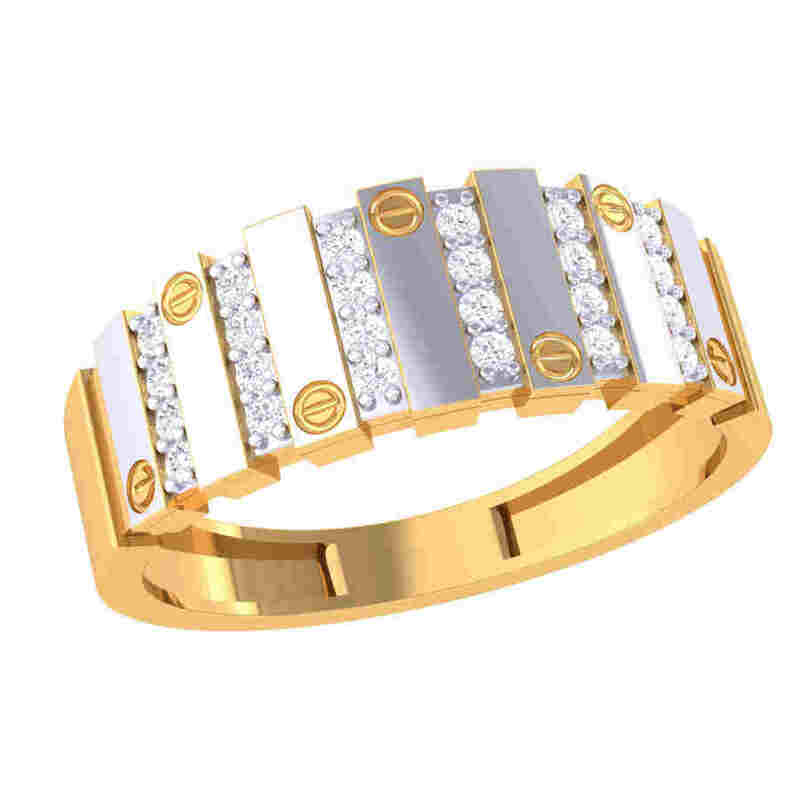 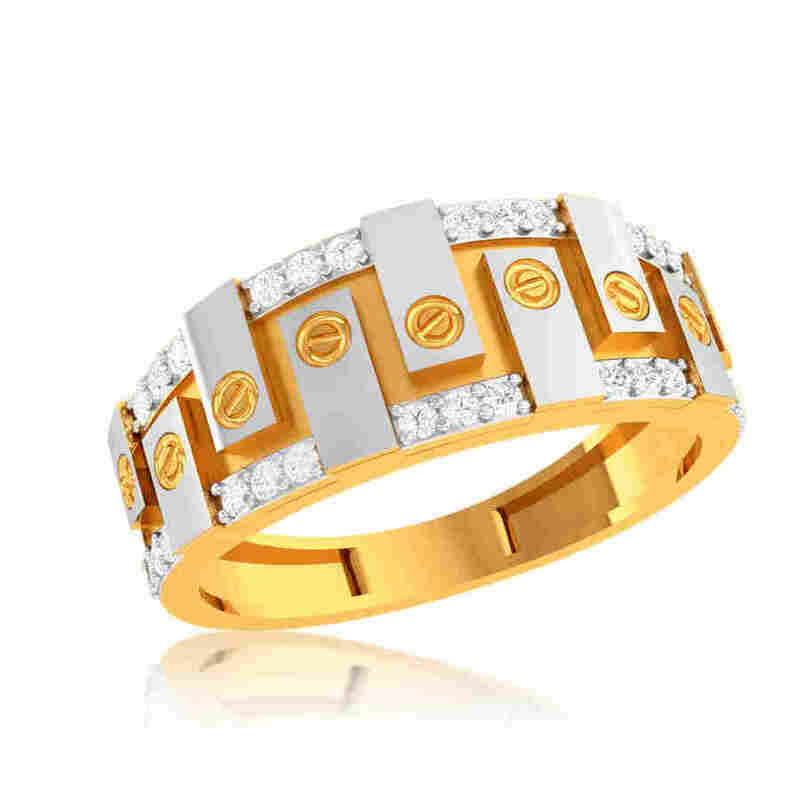 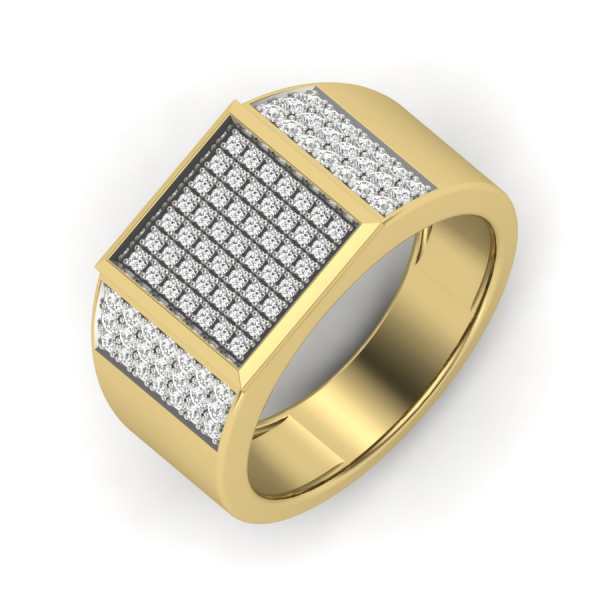 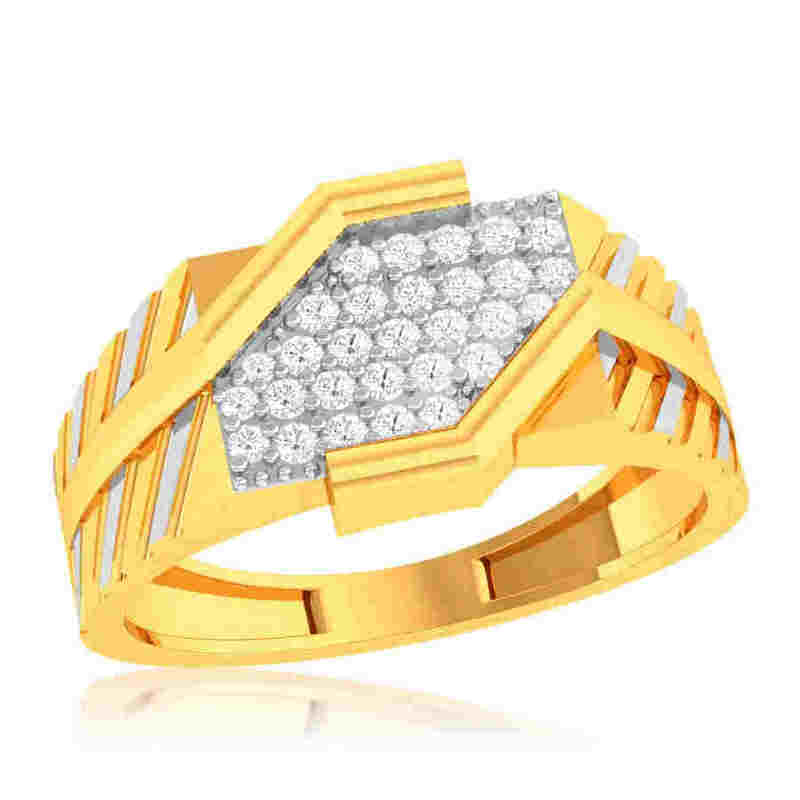 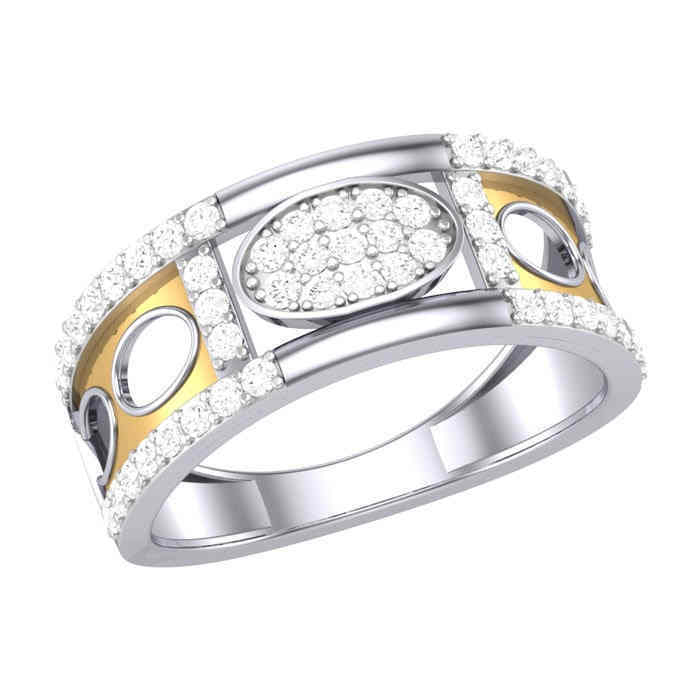 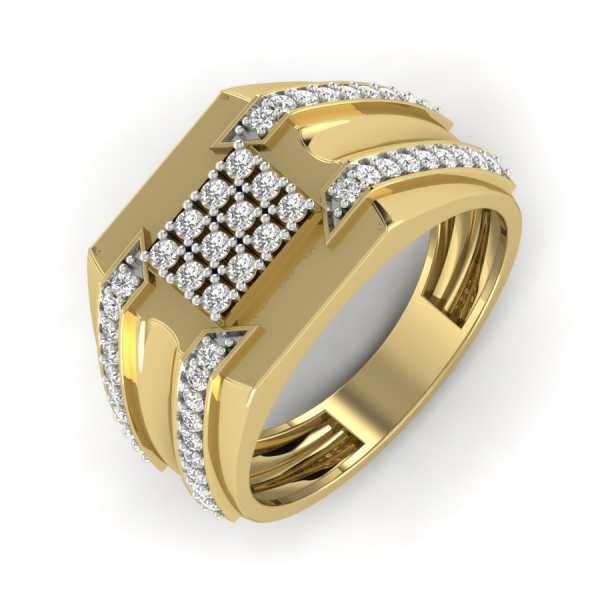 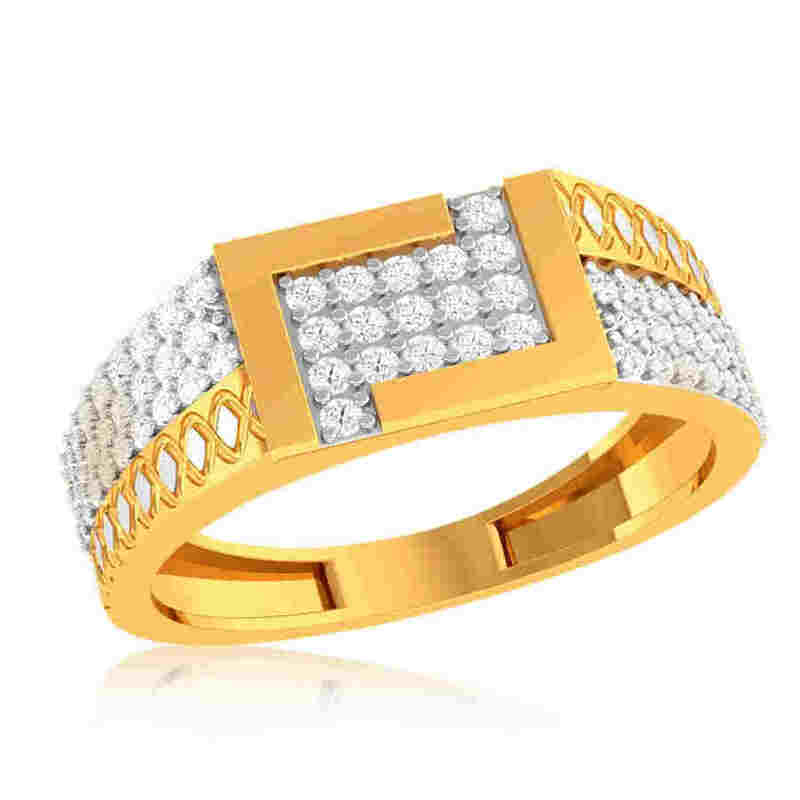 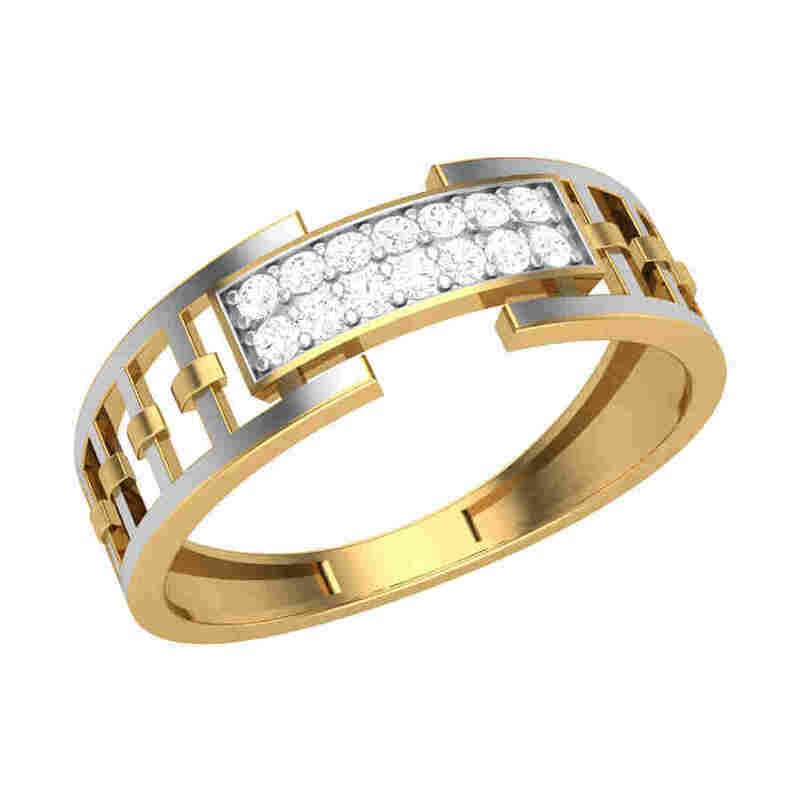 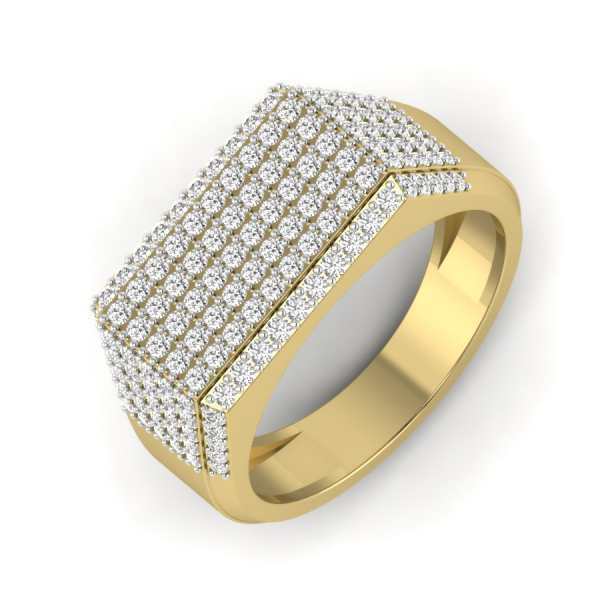 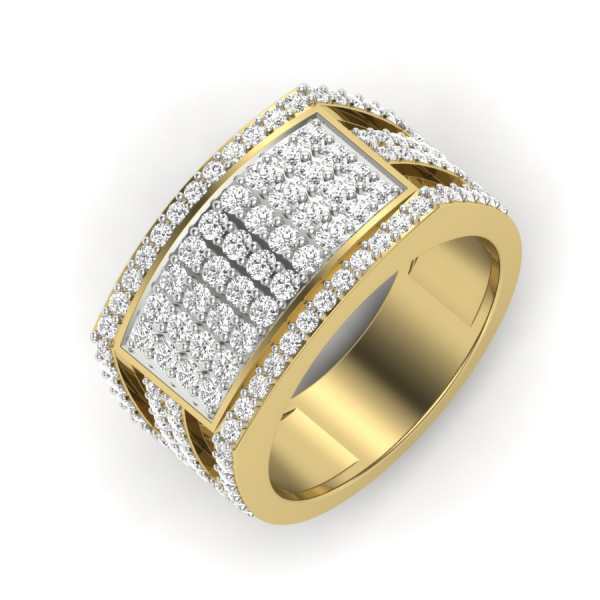 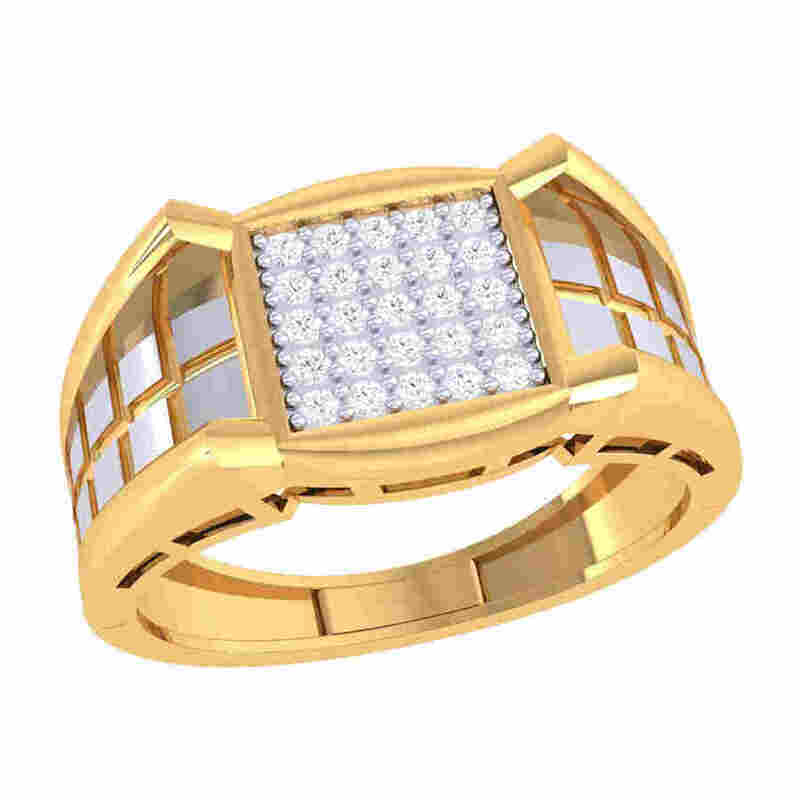 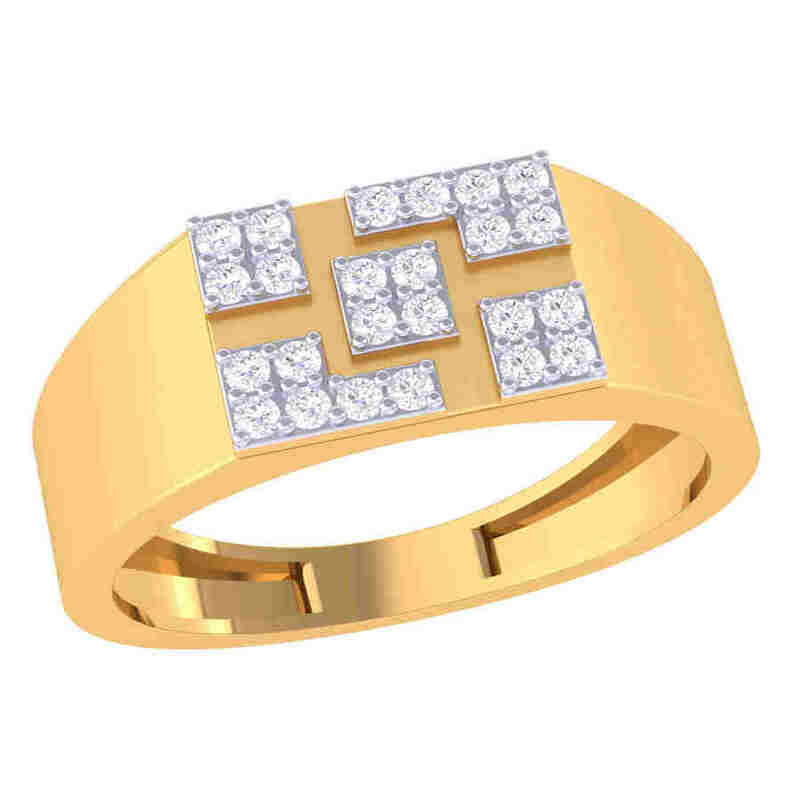 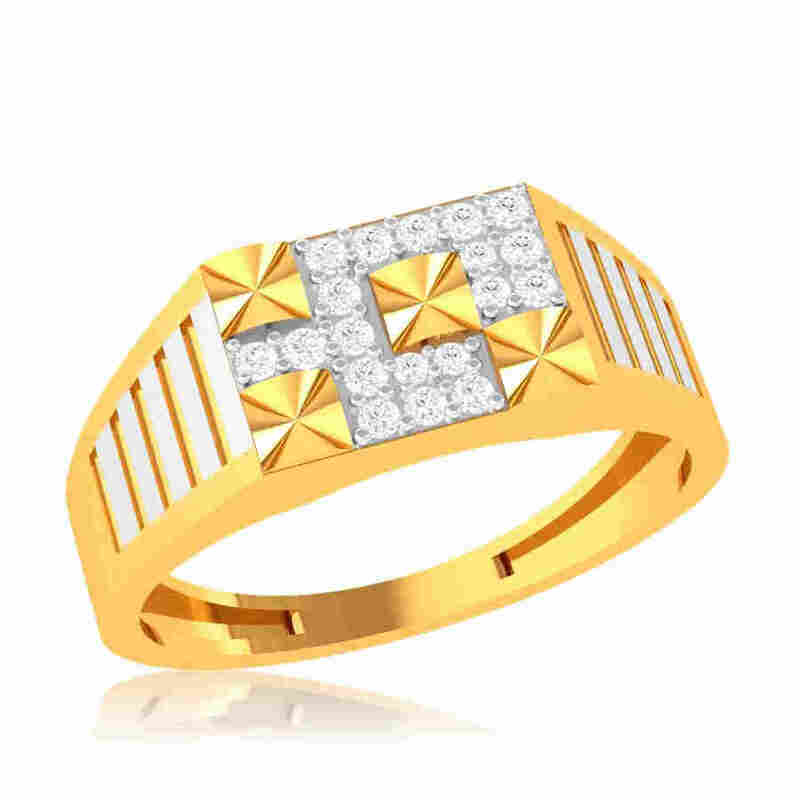 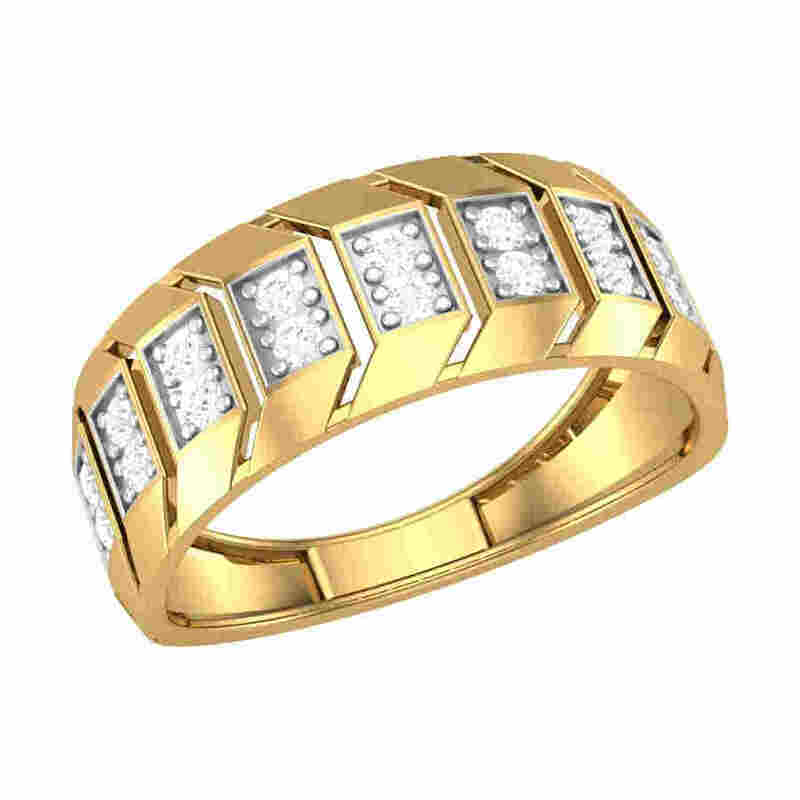 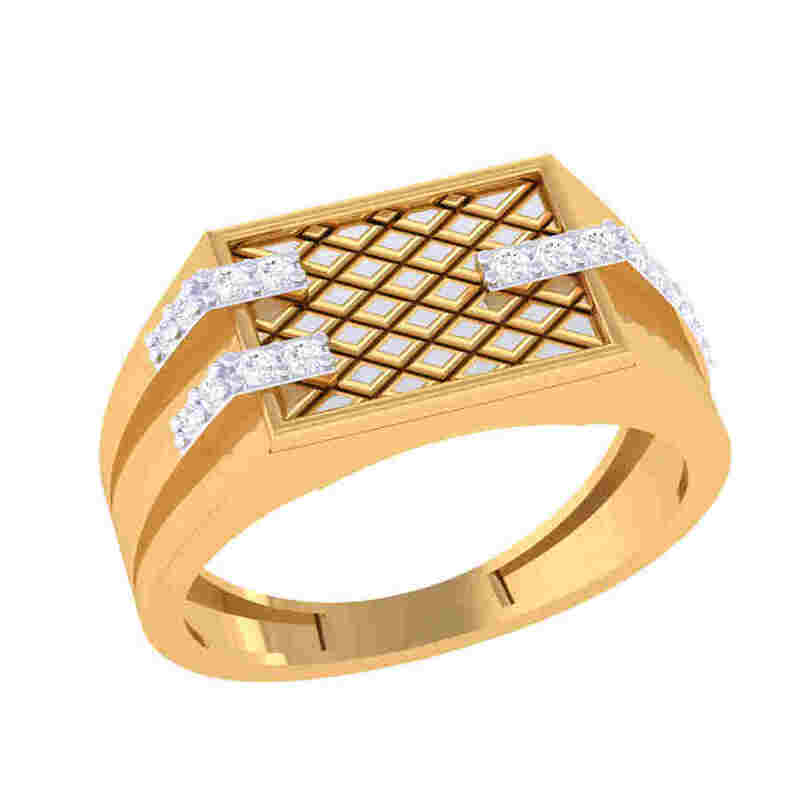 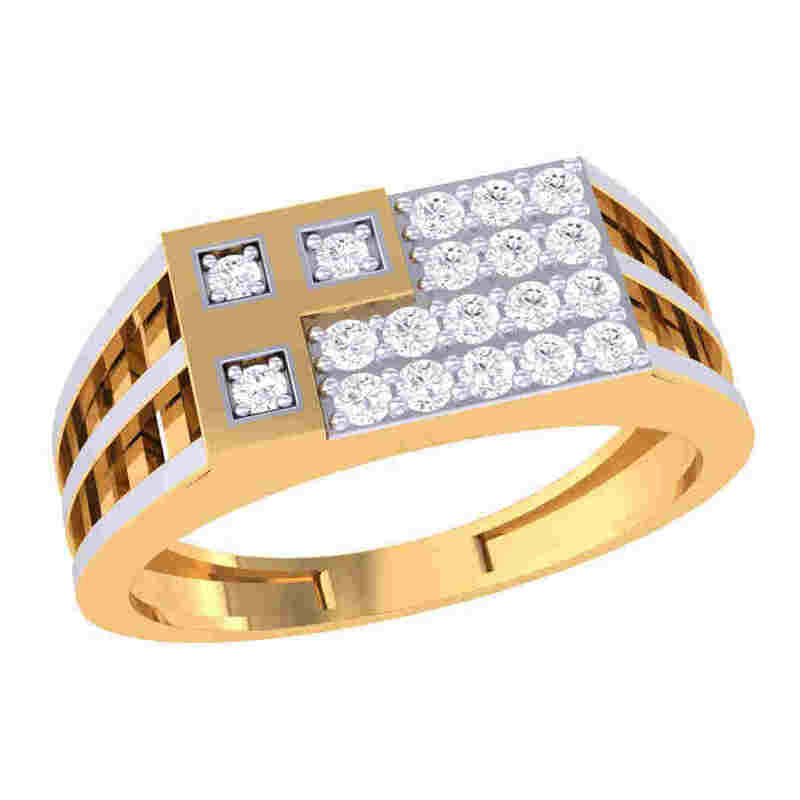 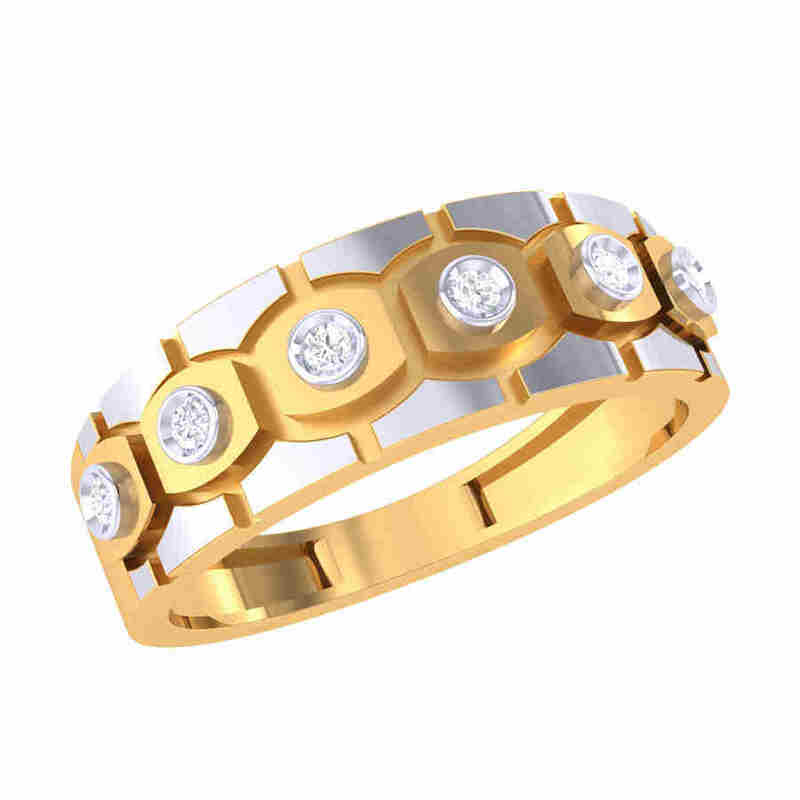 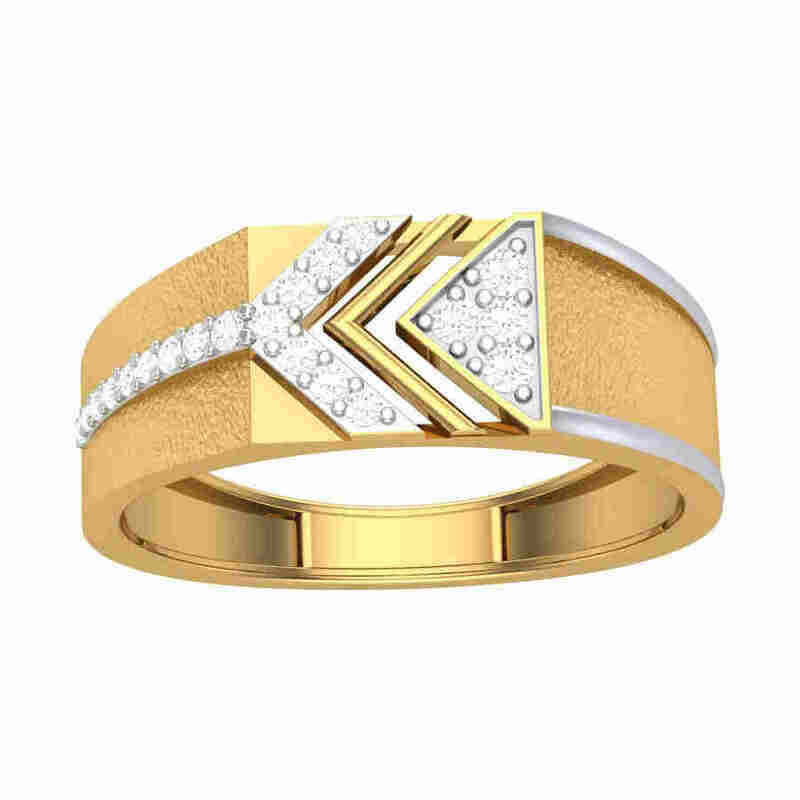 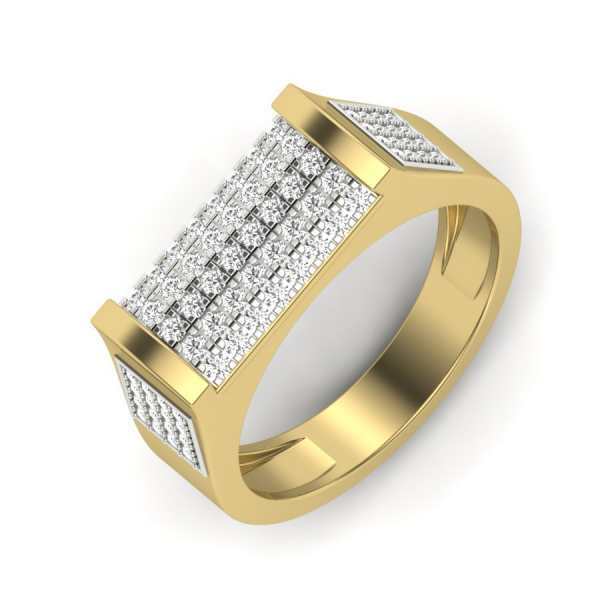 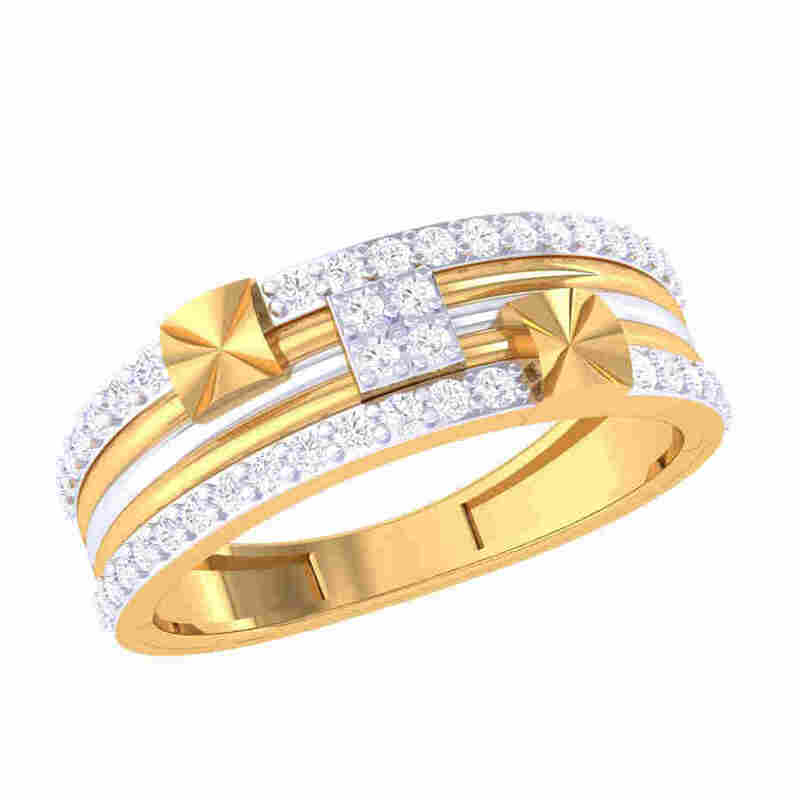 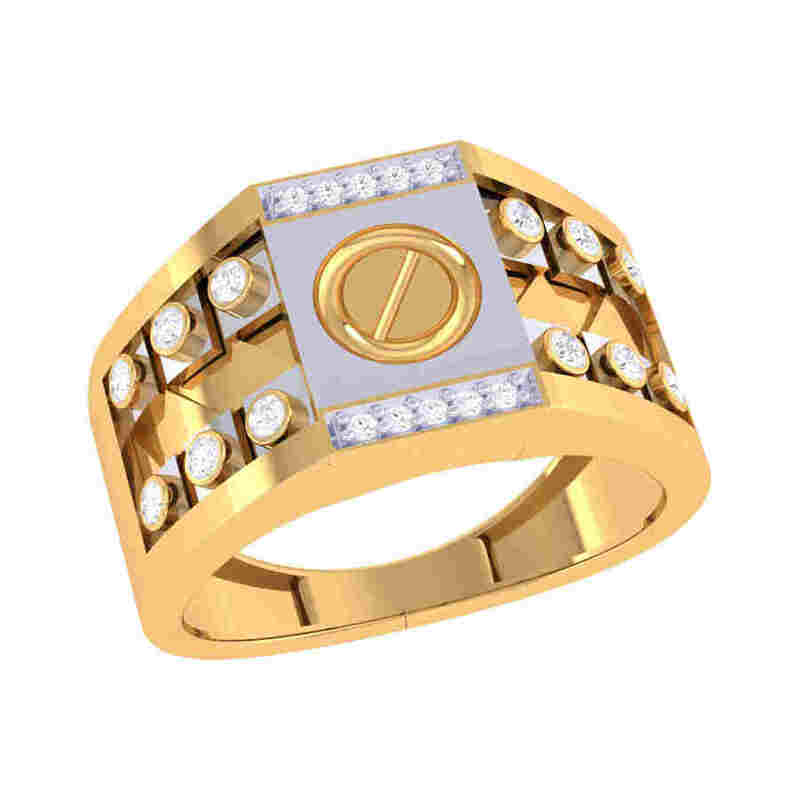 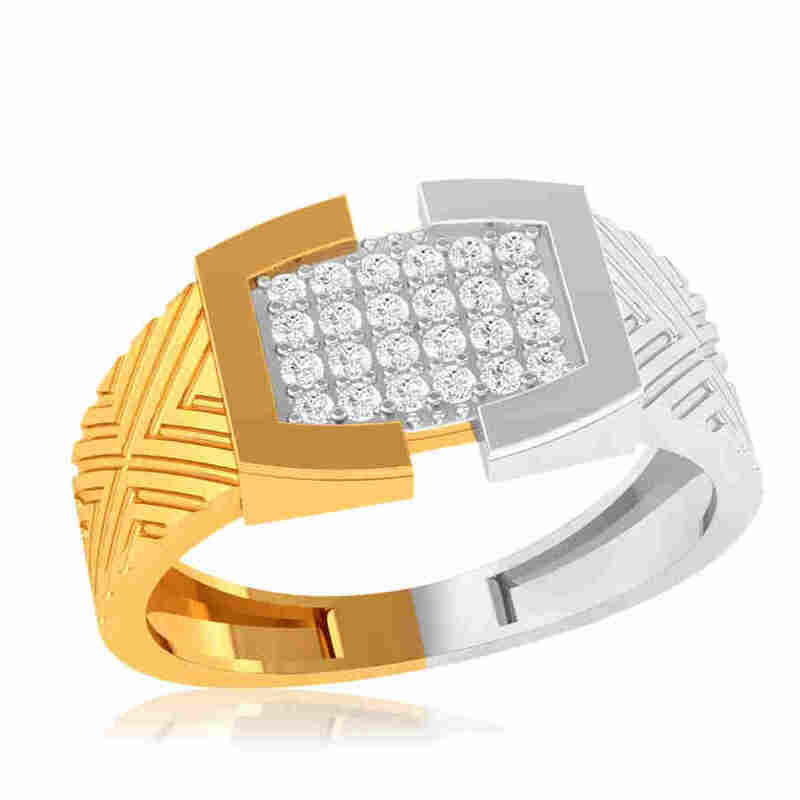 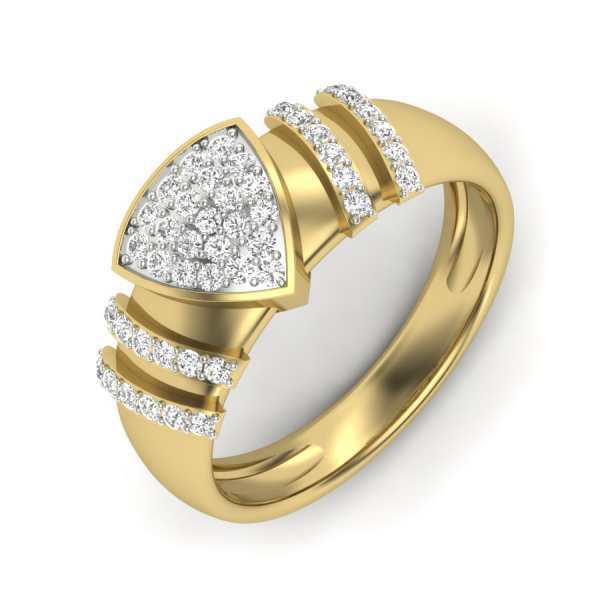 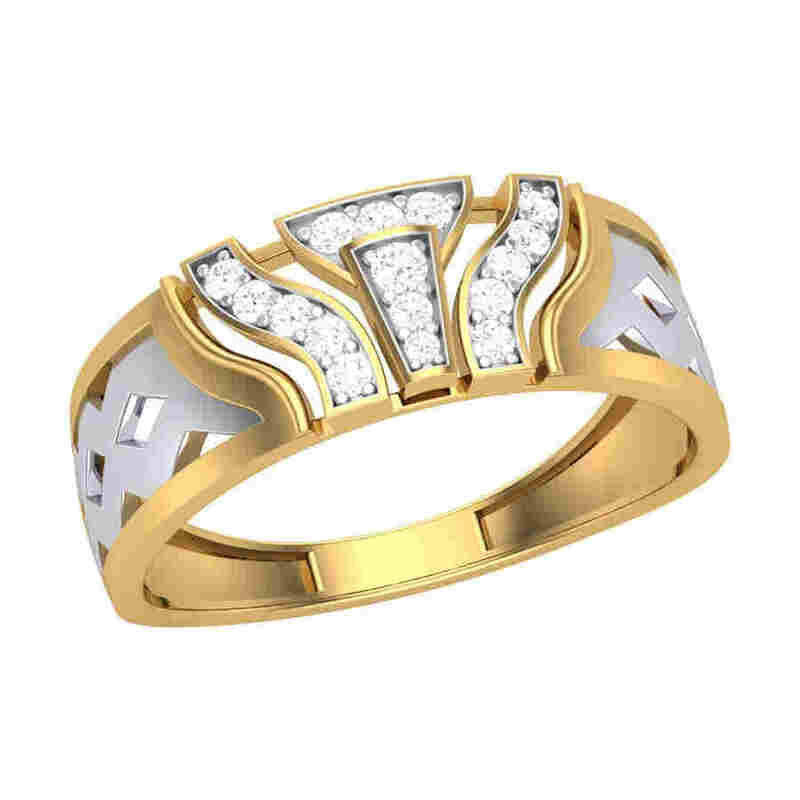 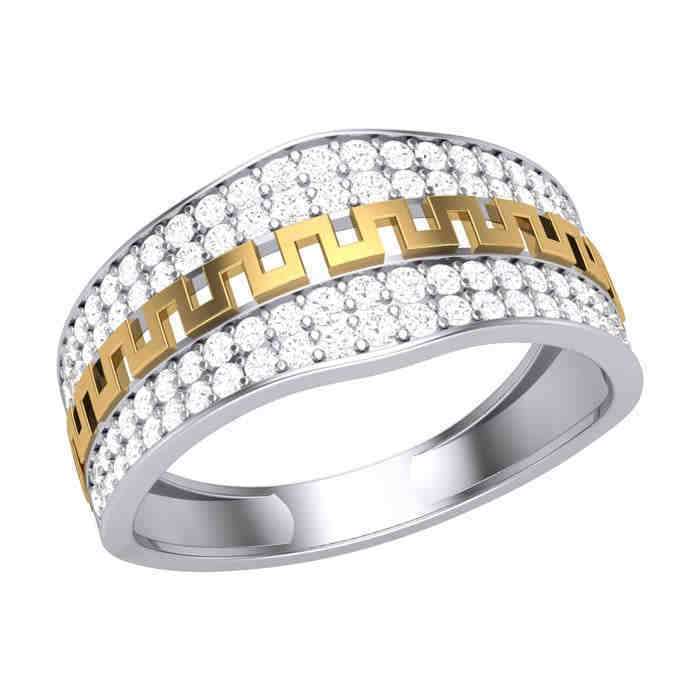 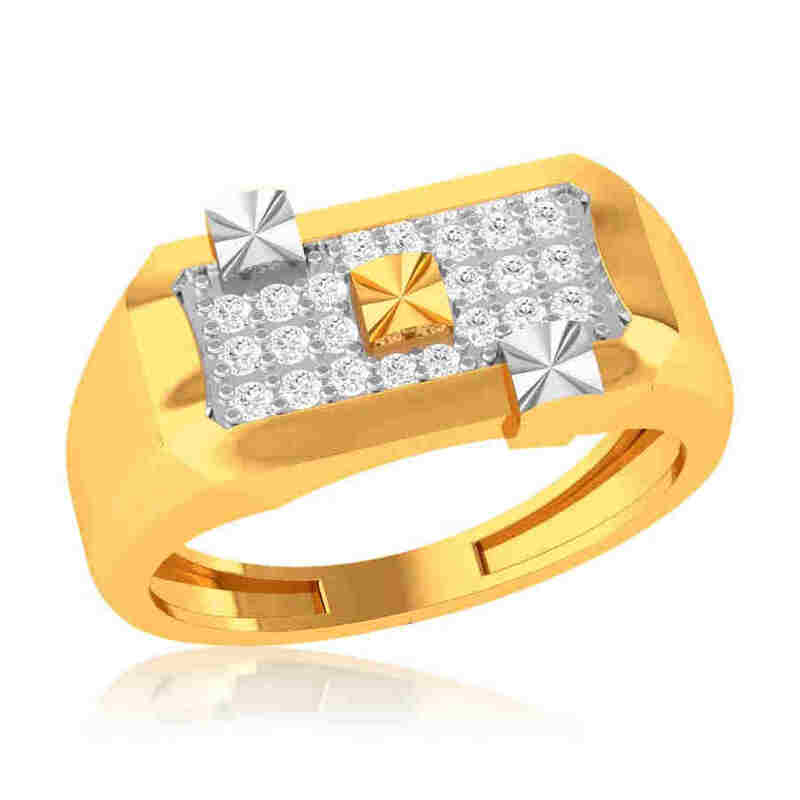 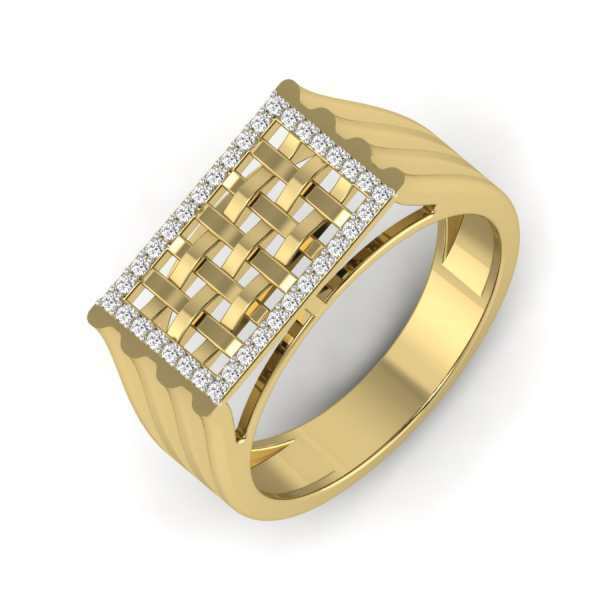 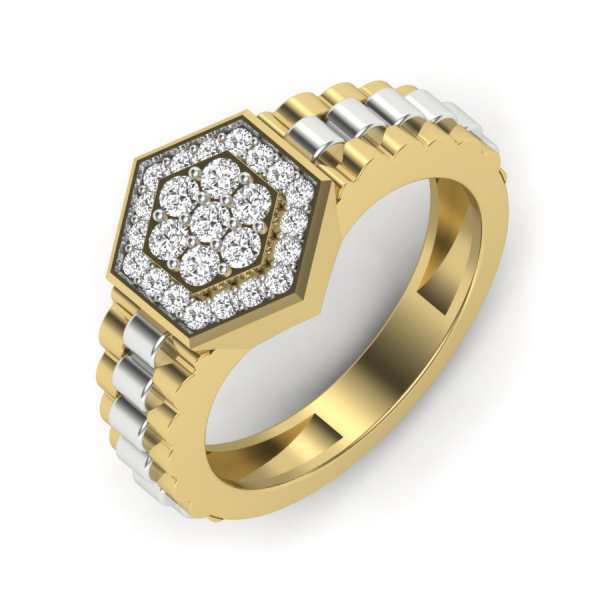 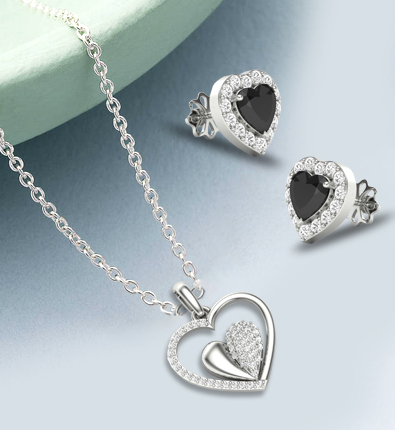 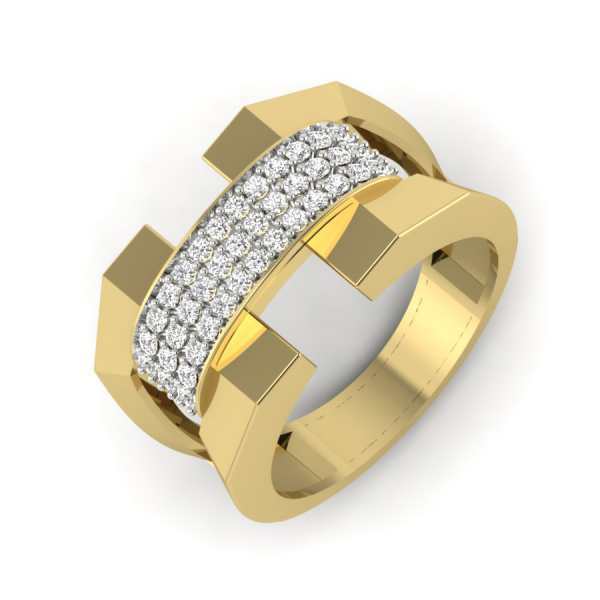 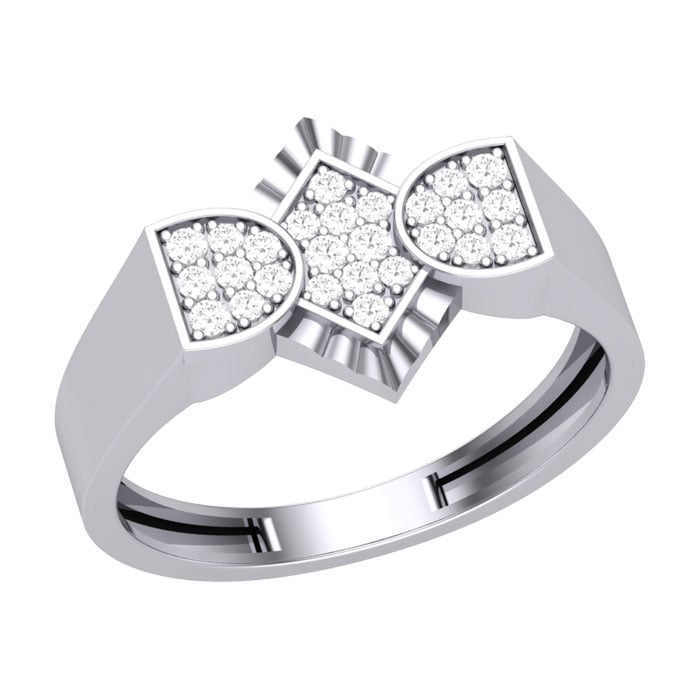 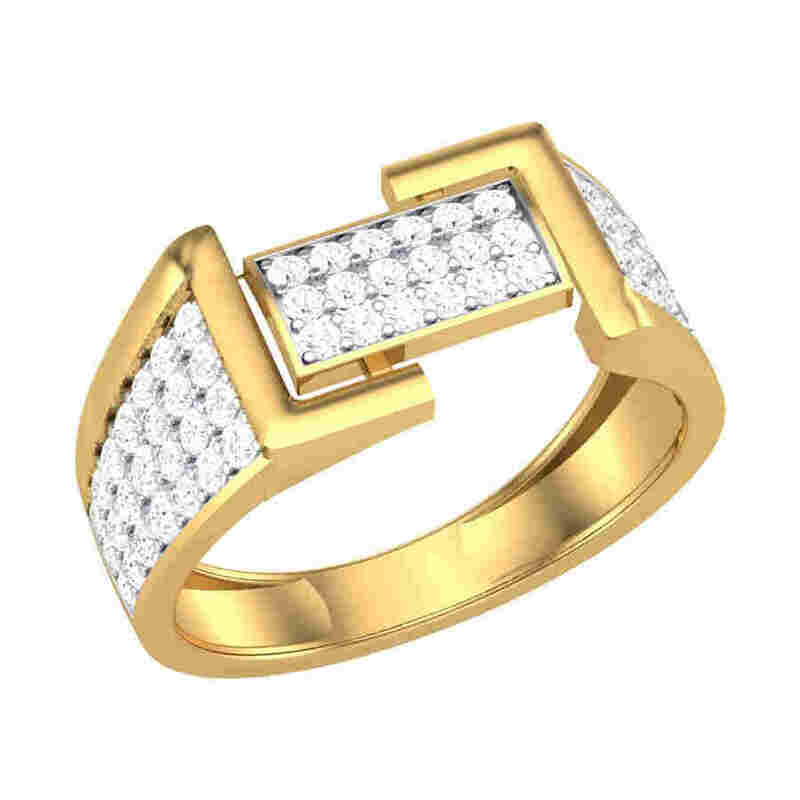 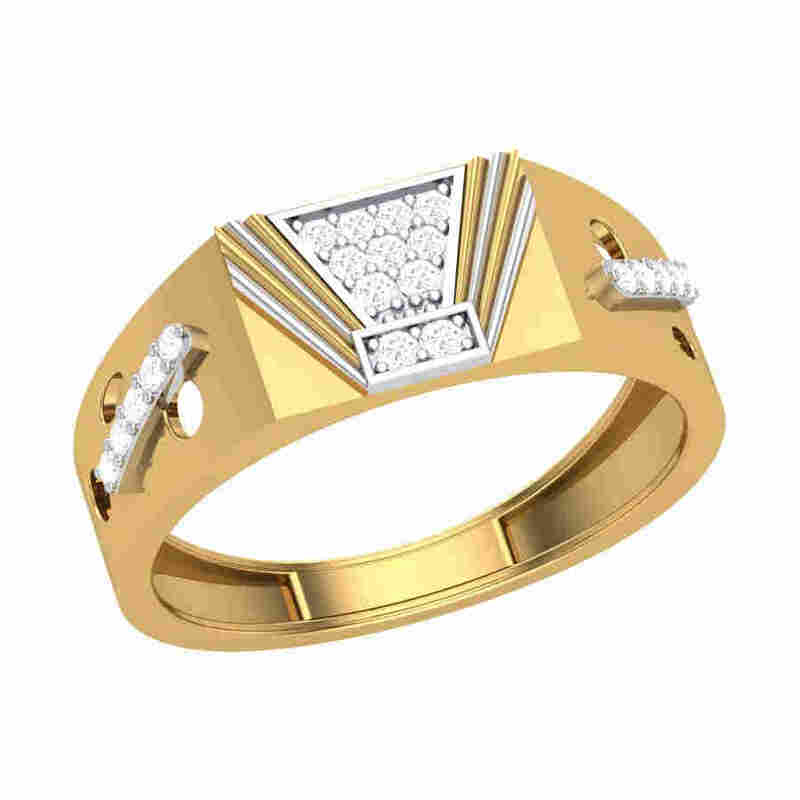 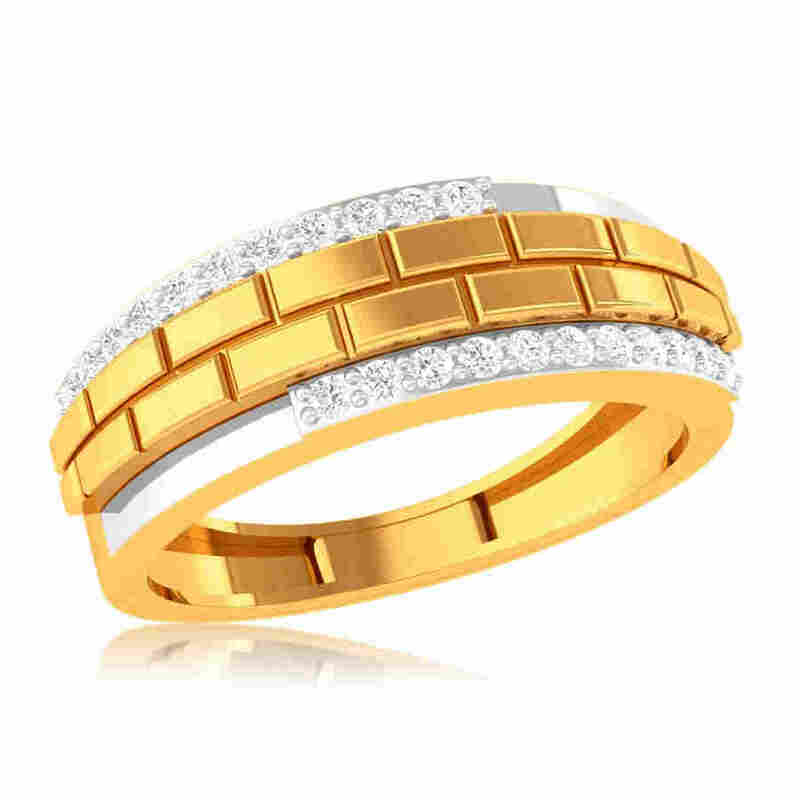 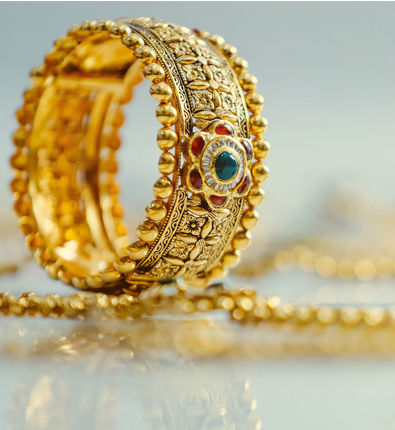 Today, men are equally keen on knowing about the styles and design options emerging in the realm of jewelry and love incorporating elements that go with their personality and lifestyle into their engagement rings. 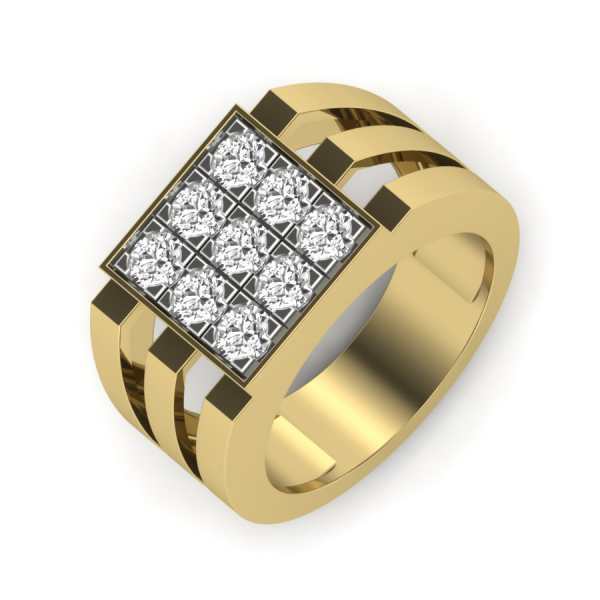 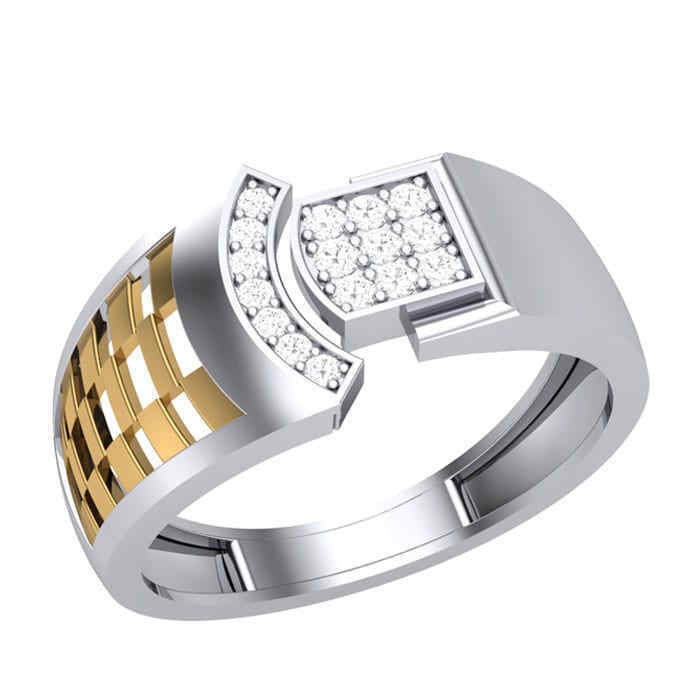 Masculine and sturdy designs are an obvious favorite with men which can be customized to complement their better halves’ engagement ring design. 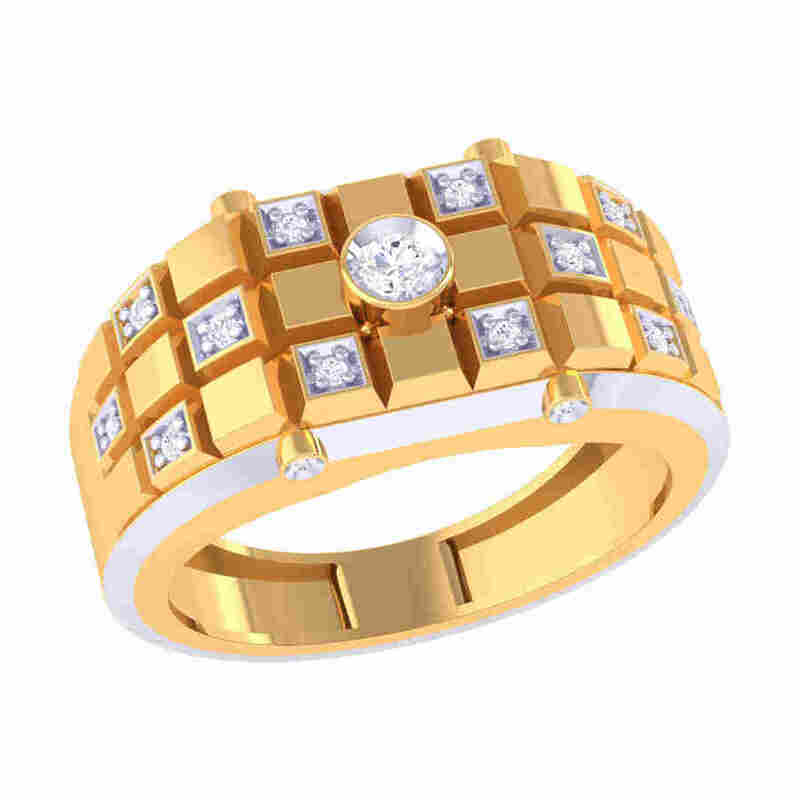 Just like matching wedding ensembles, matching engagement and wedding rings are becoming increasingly popular with men and women. 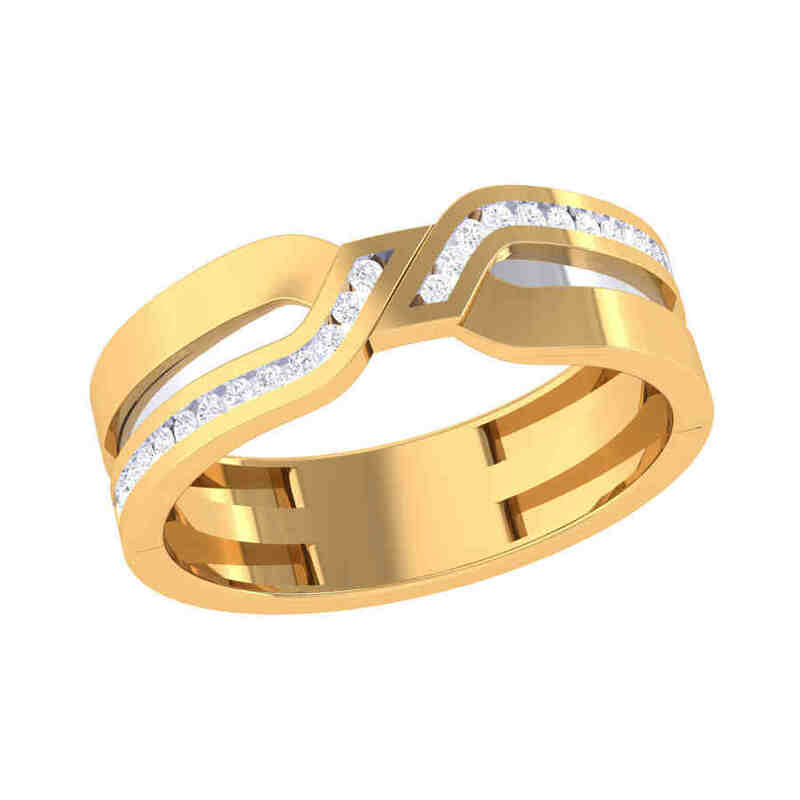 Complementing each other’s wedding rings either by opting for the same metal, gemstone, or finish, couples want their rings to be as timeless and enduring as their love for each other. 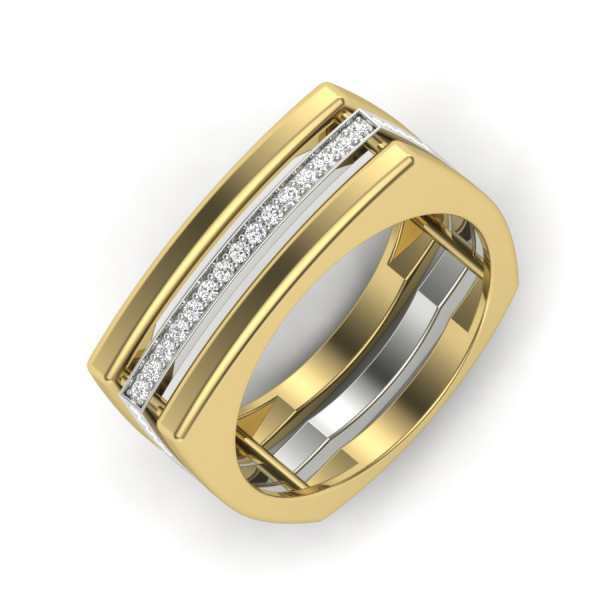 While it’s true that platinum and palladium are enjoying massive popularity in men’s engagement rings when it comes to an elegant and all-time preferred metal option, they can’t, however, come close to beating the all-time elegant, gold. 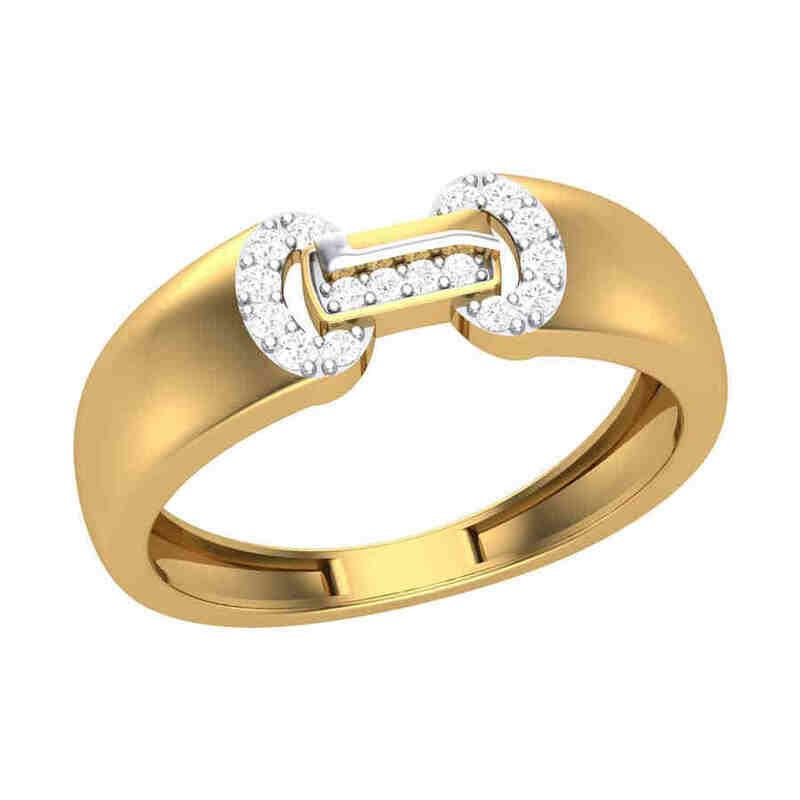 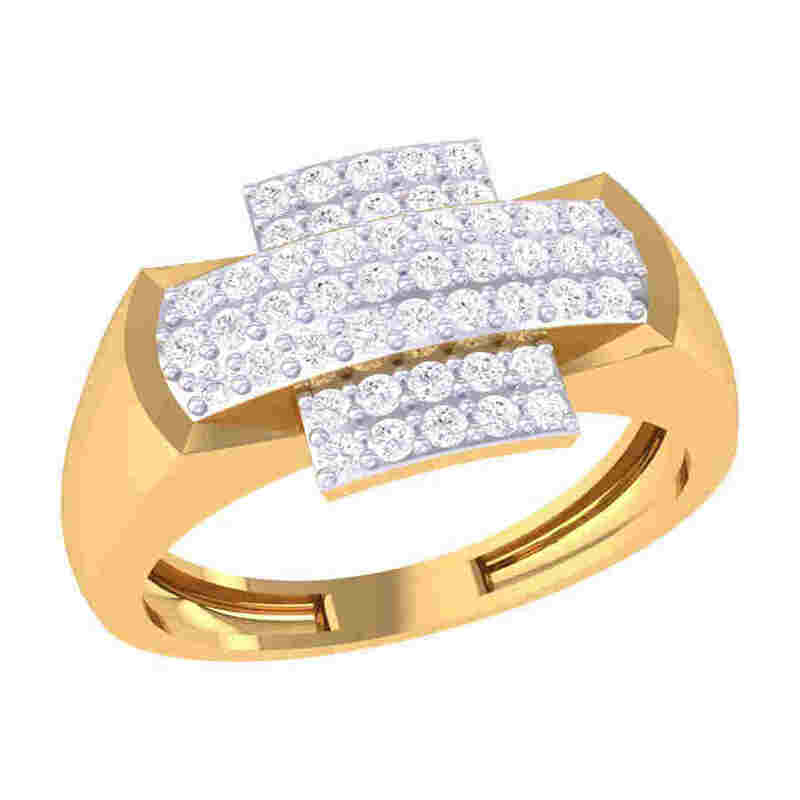 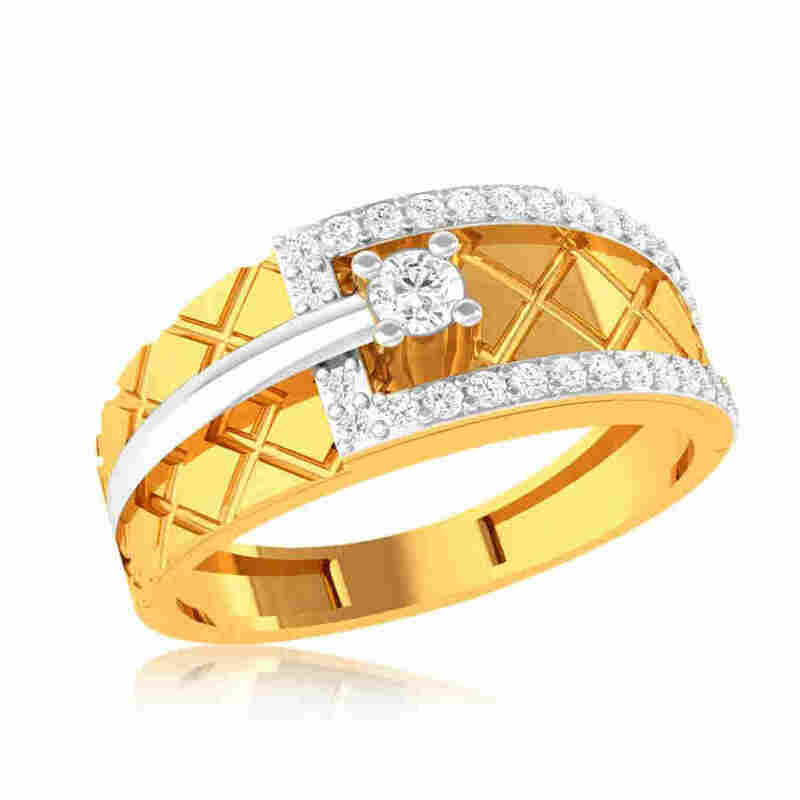 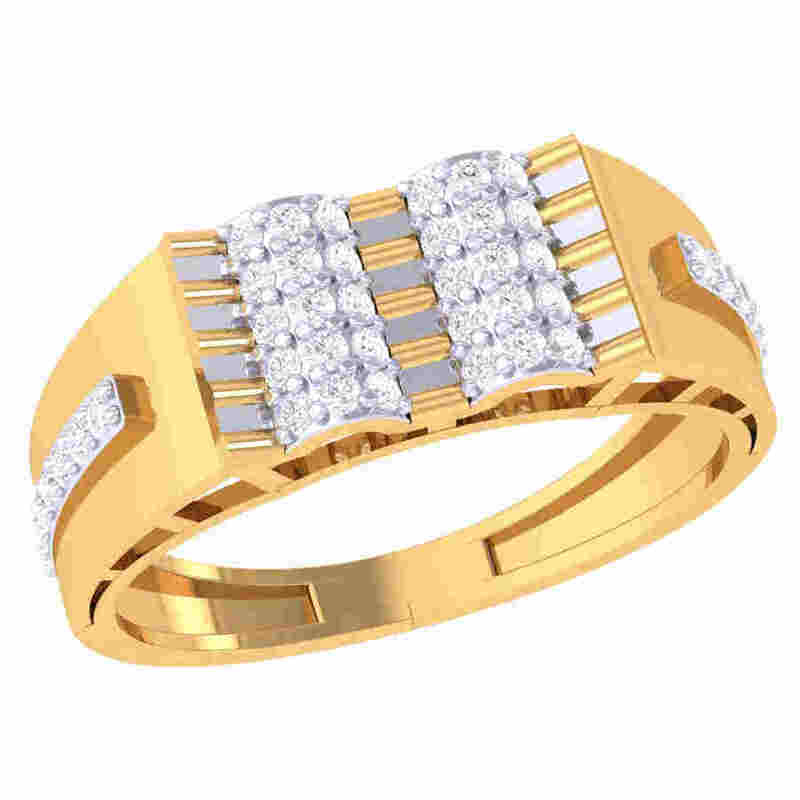 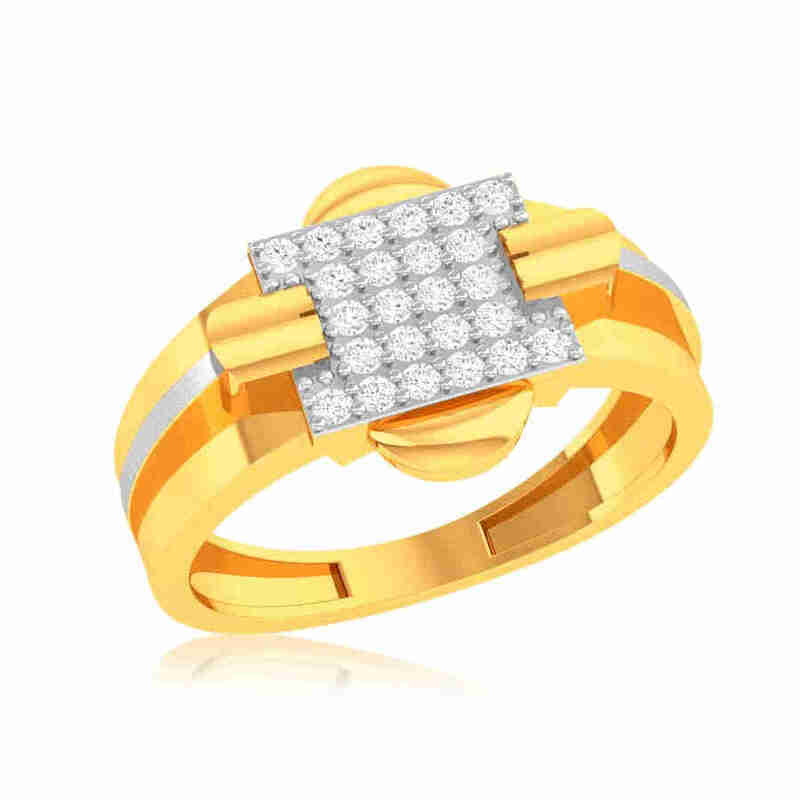 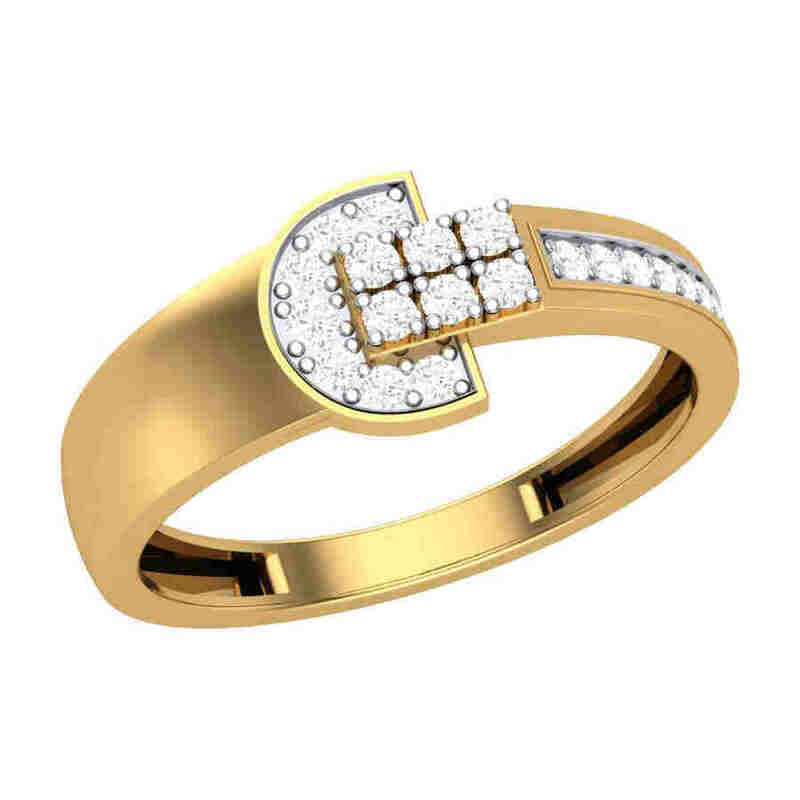 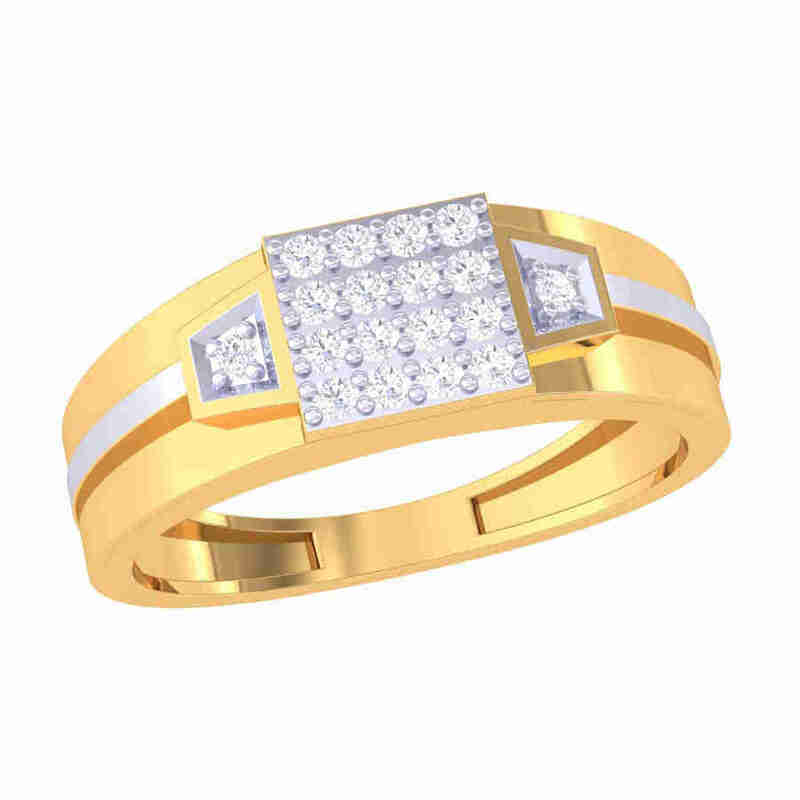 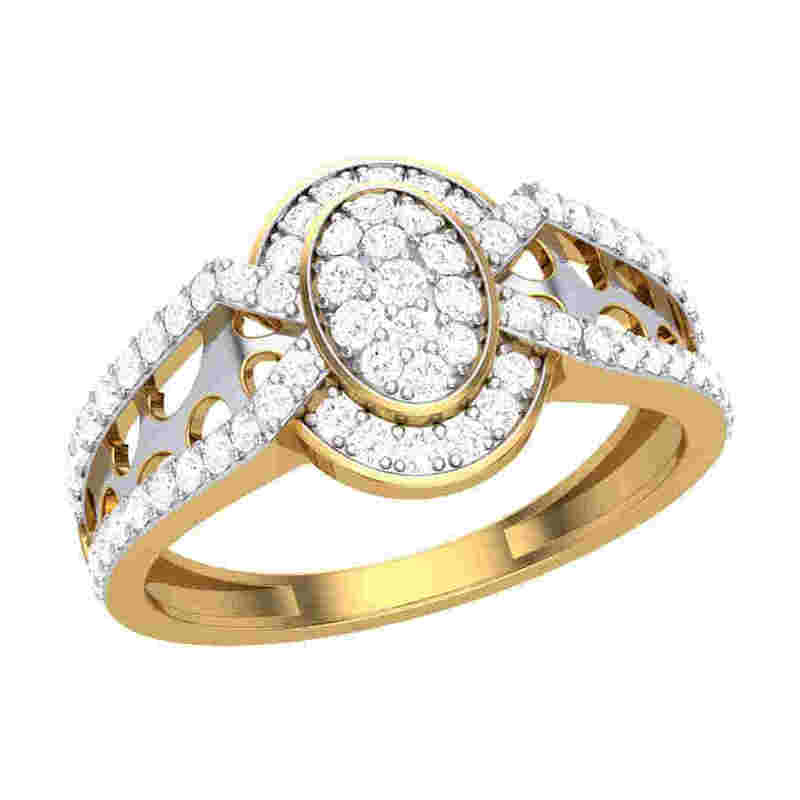 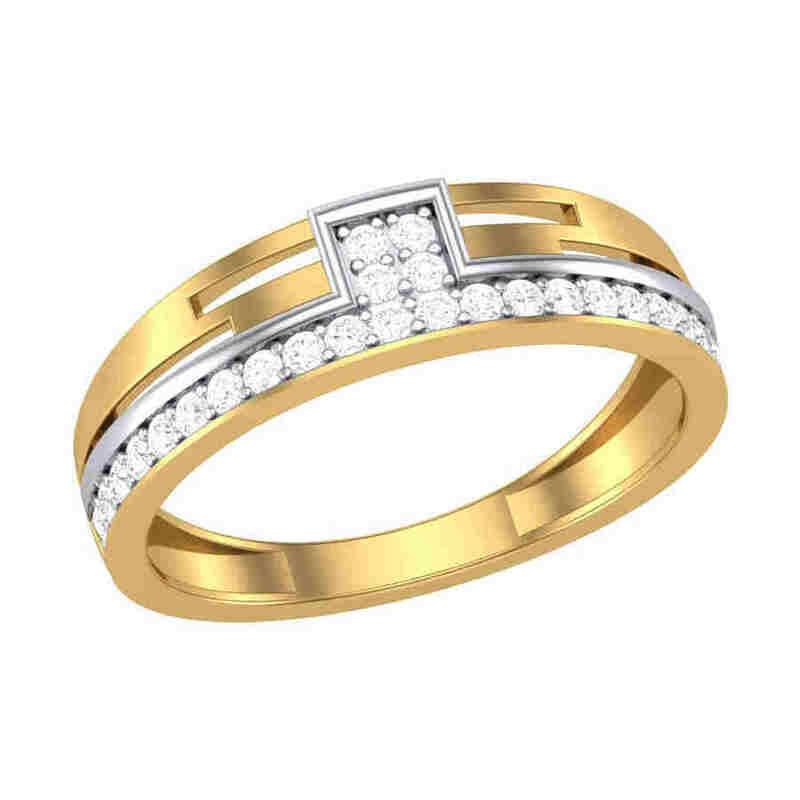 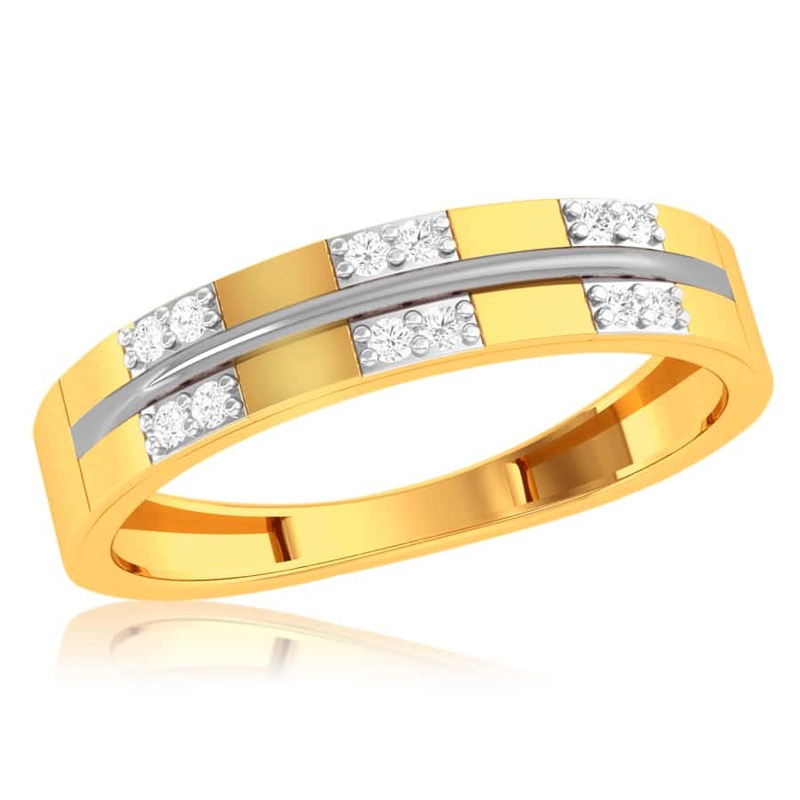 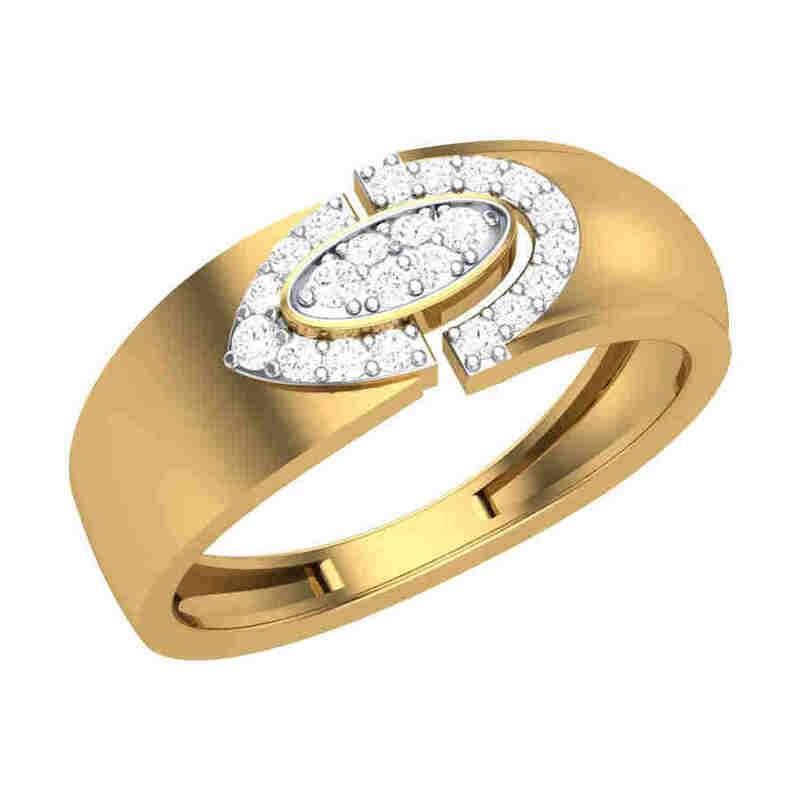 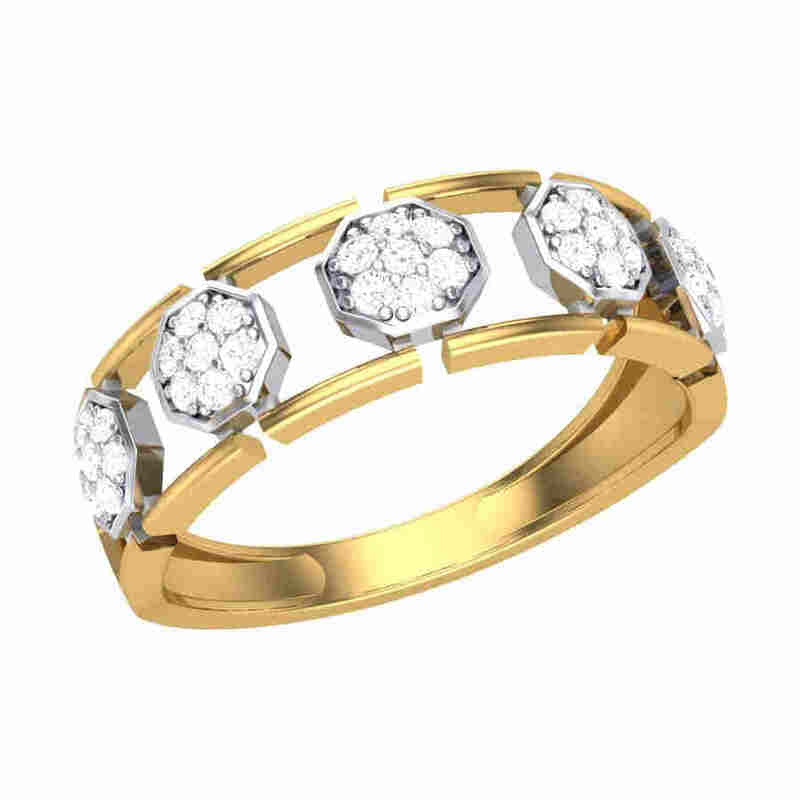 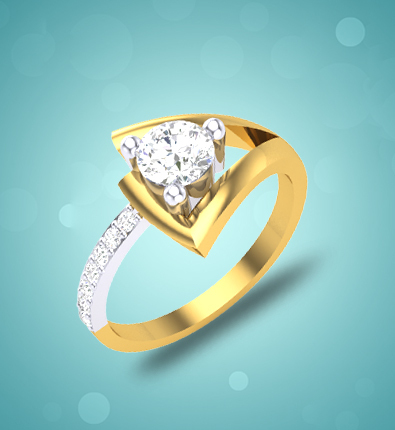 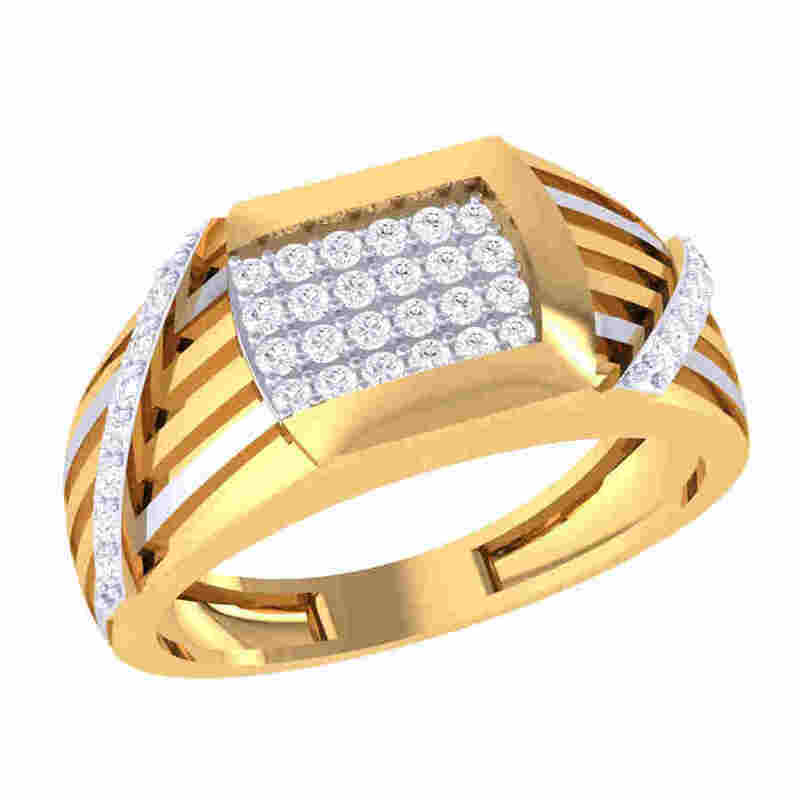 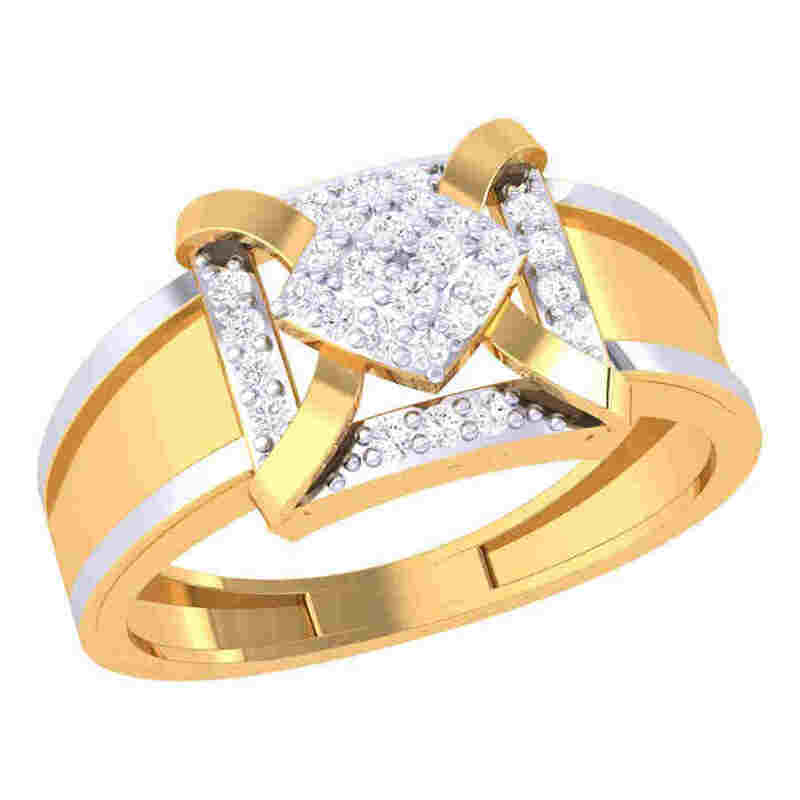 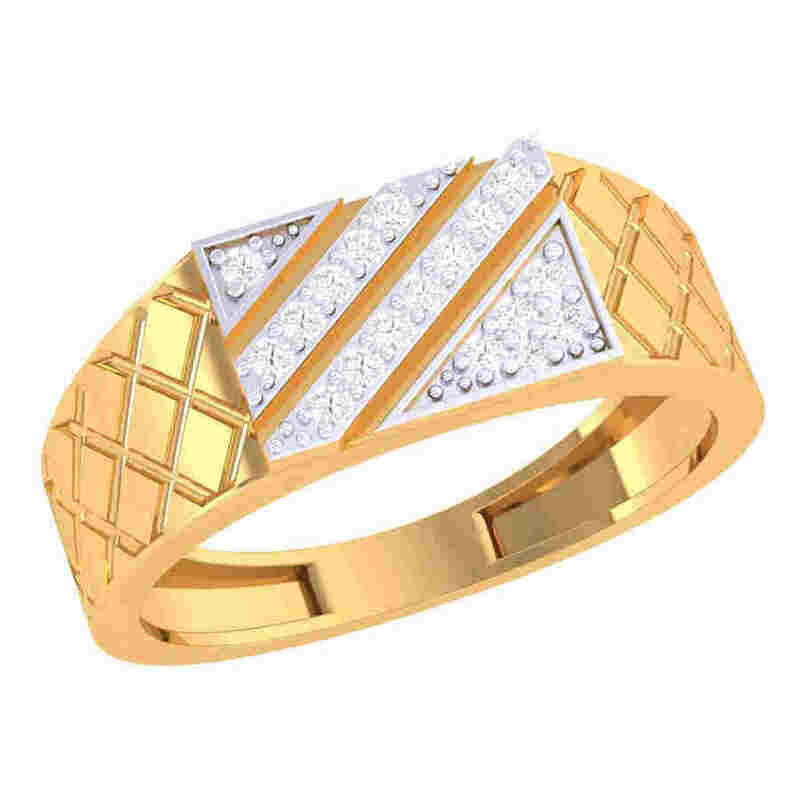 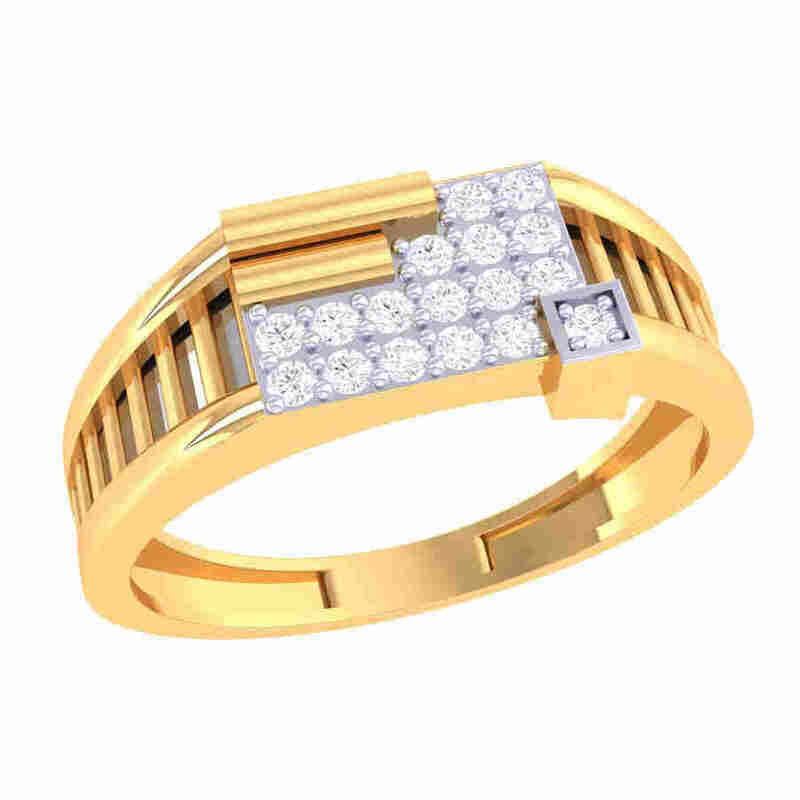 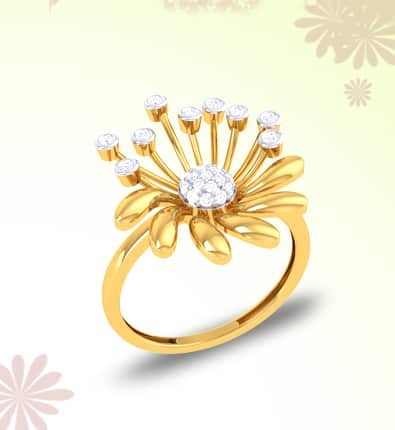 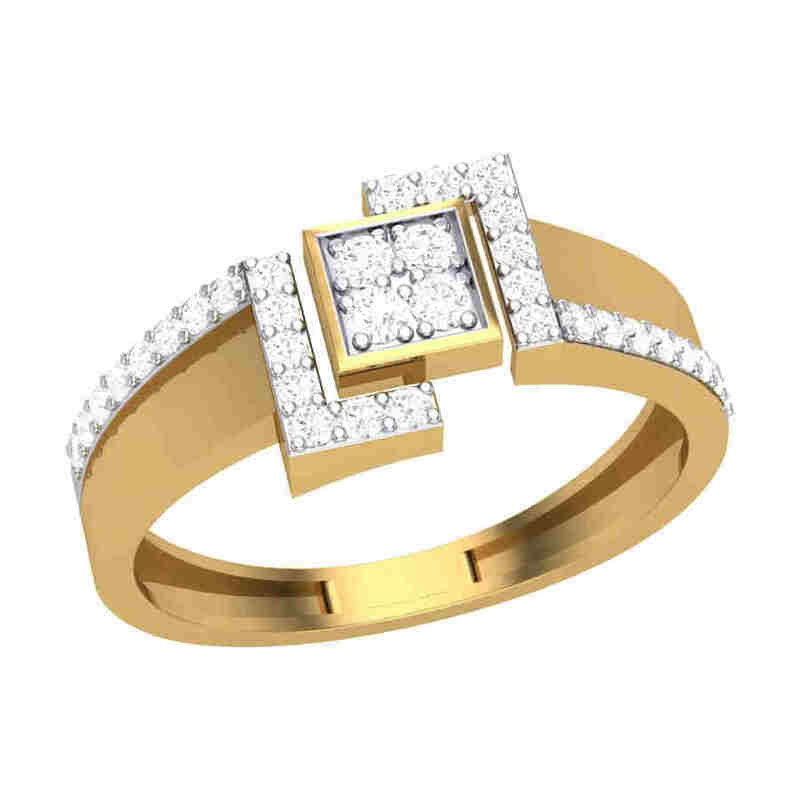 Be it in terms of care, maintenance, and classic appeal, a gold engagement ring fulfills all the necessary criteria that make for an ideal choice to celebrate love and loyalty. Whether a plain gold engagement band-like ring with minimal detailing floats your boat or a ring featuring subtle channel setting hosting small diamonds is your thing, you are sure to find the design of your dream with our huge selection of men’s engagement rings. 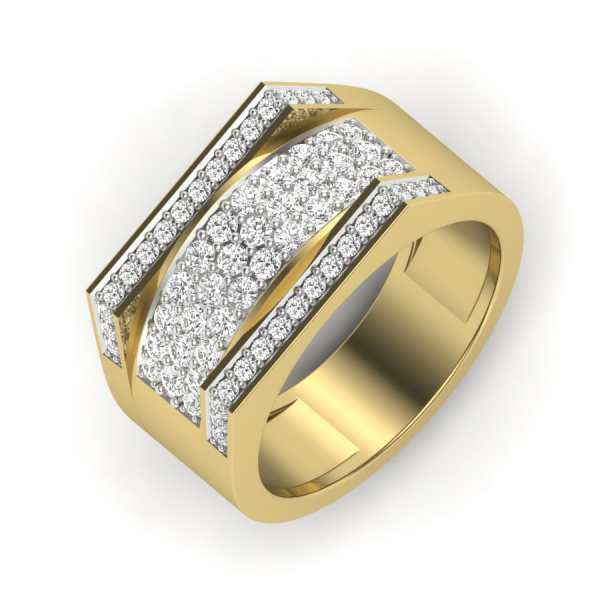 In addition to white and yellow gold, there’s been a growing demand for rose-gold engagement rings for men. 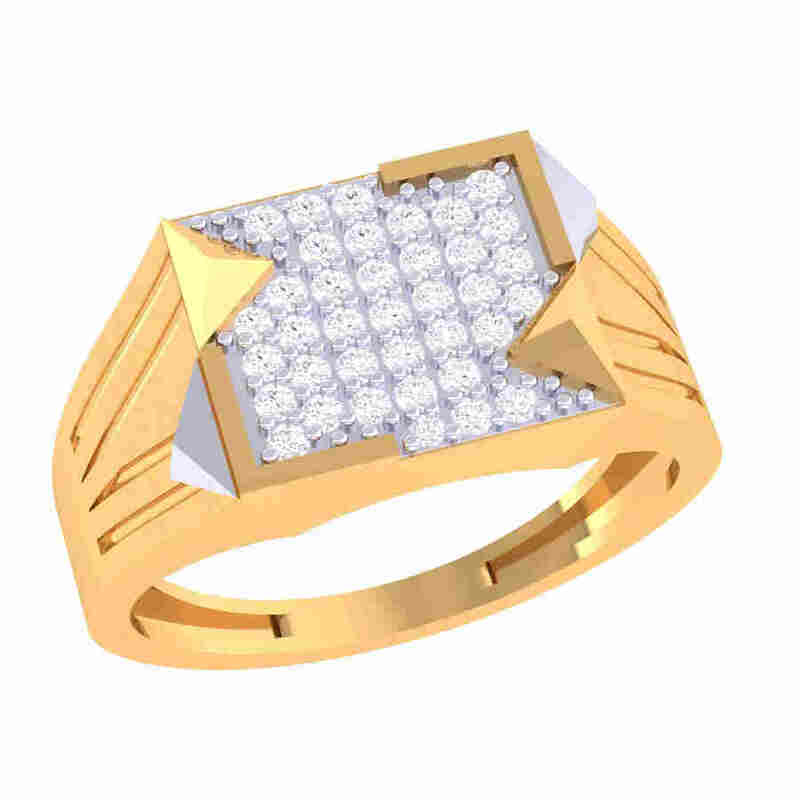 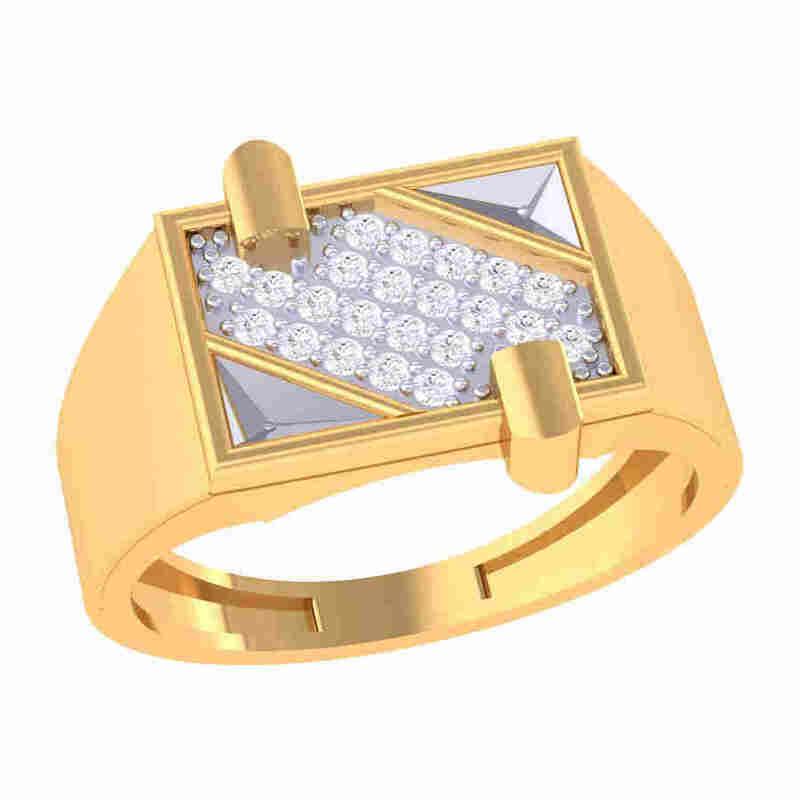 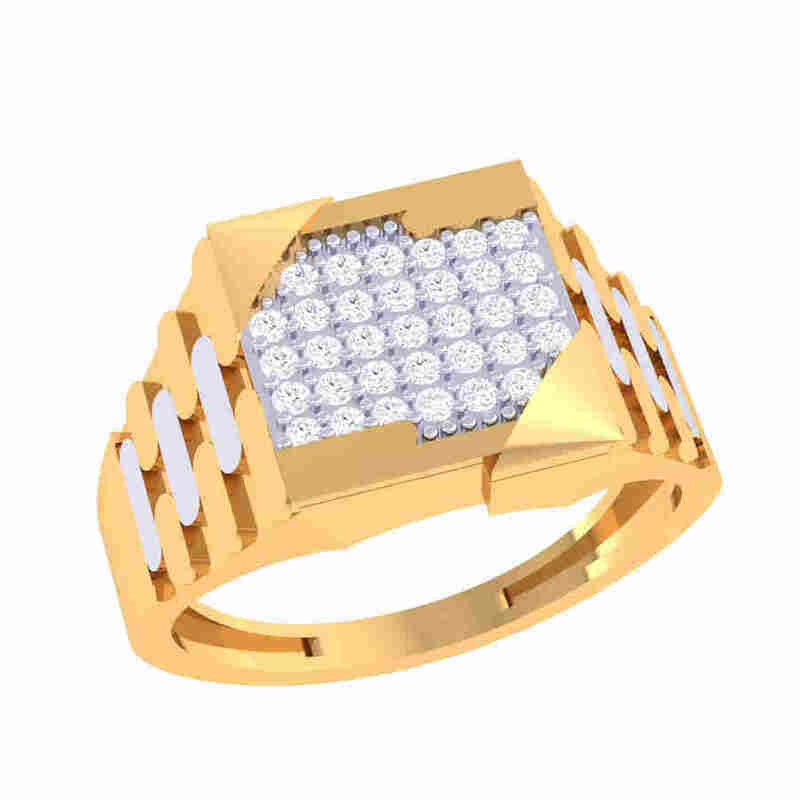 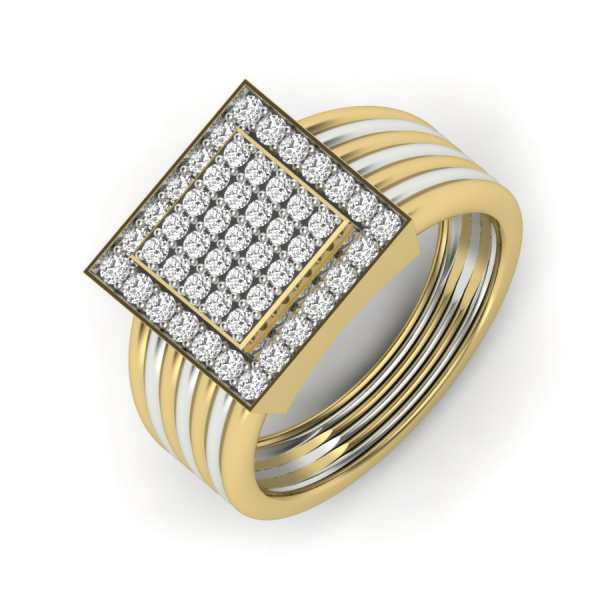 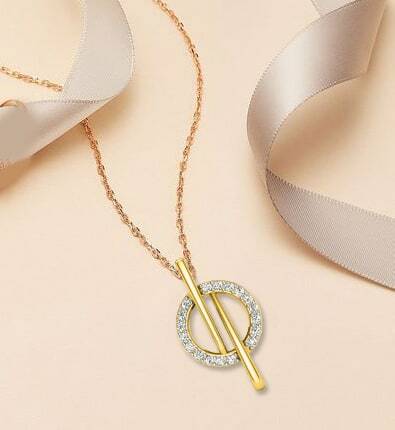 A bezel-set diamond ring fashioned out of rose gold looks edgy and contemporary. 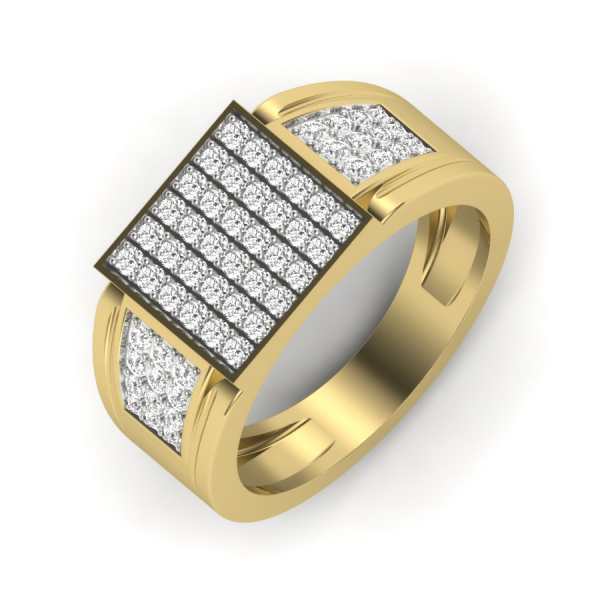 It emphatically proves wrong the notion that rose gold looks feminine and can’t be worked for a men’s engagement ring. 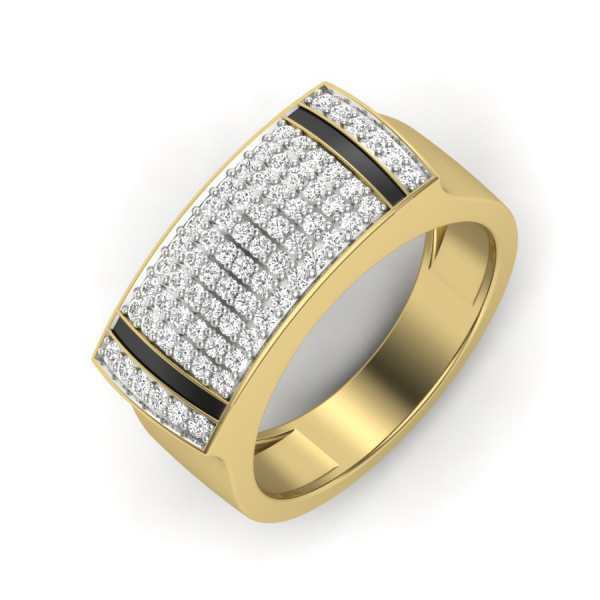 Men’s rose gold rings make a perfect option for those who want something intriguing and vintage-inspired for their weddings.